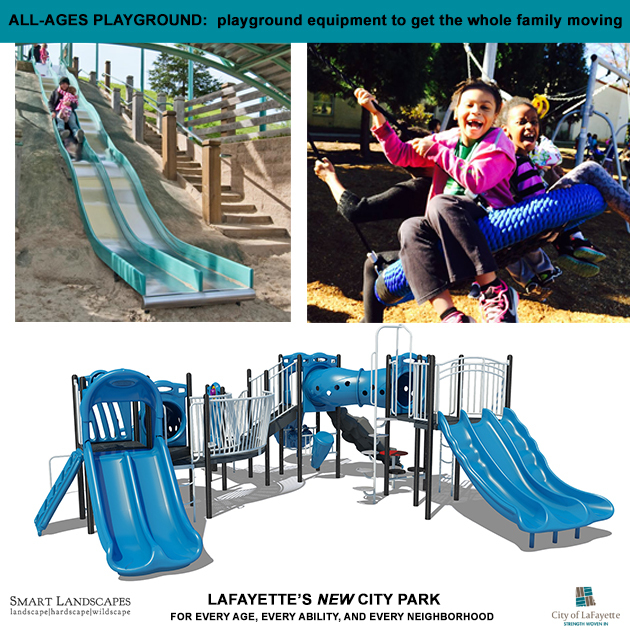 LaFayette’s new city park is for every age, every ability, and every neighborhood. 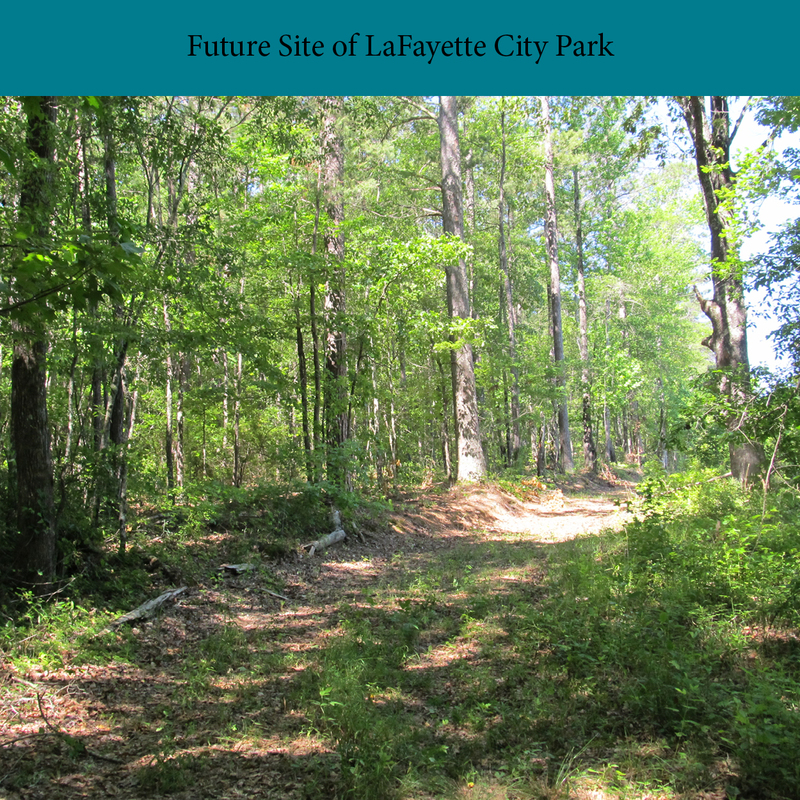 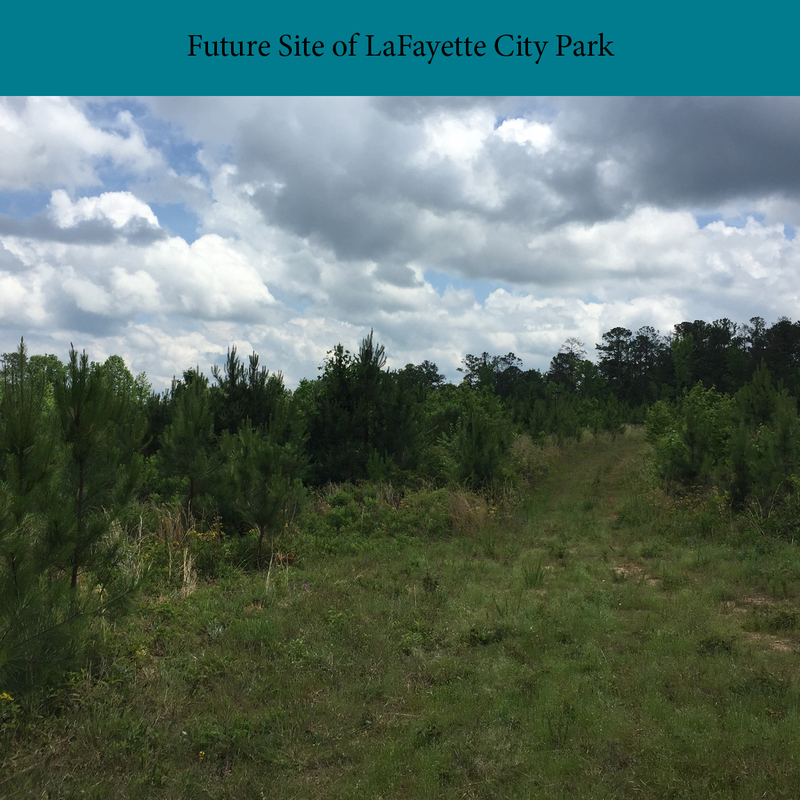 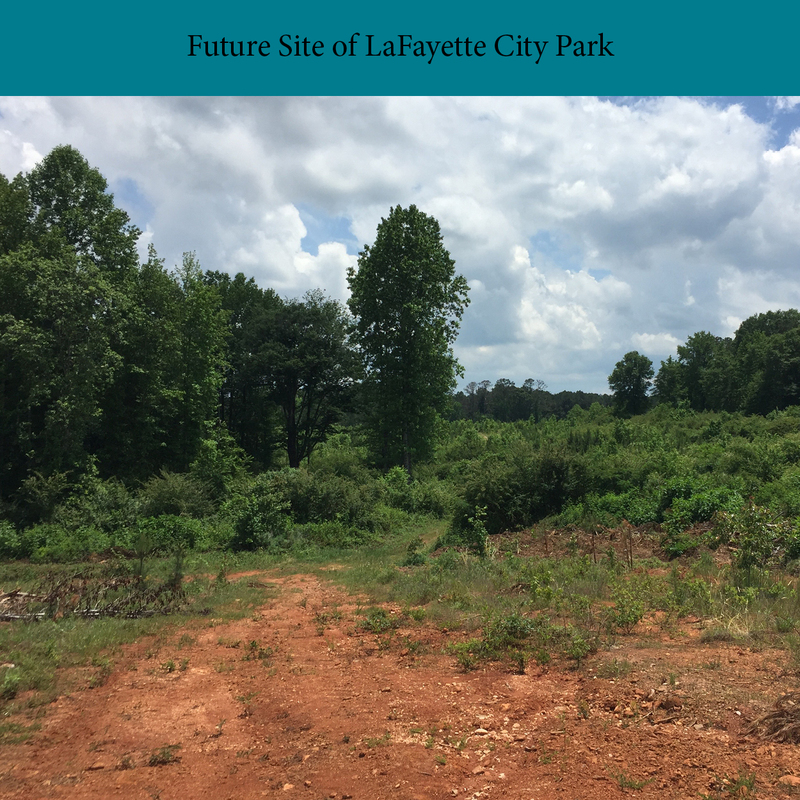 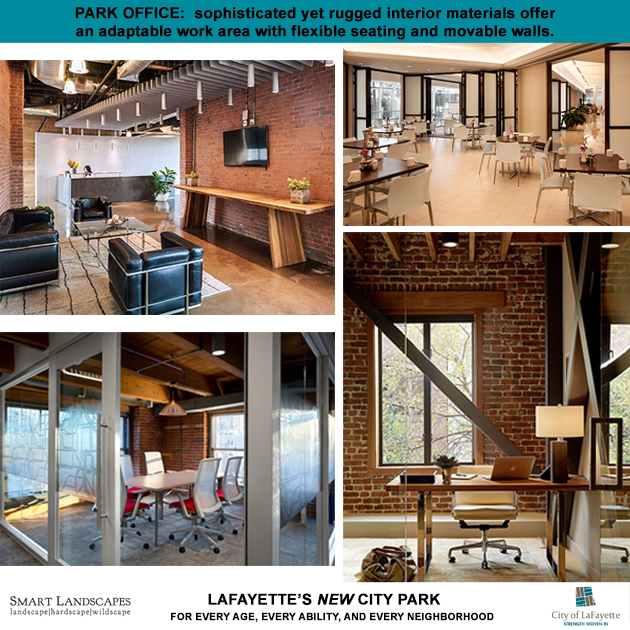 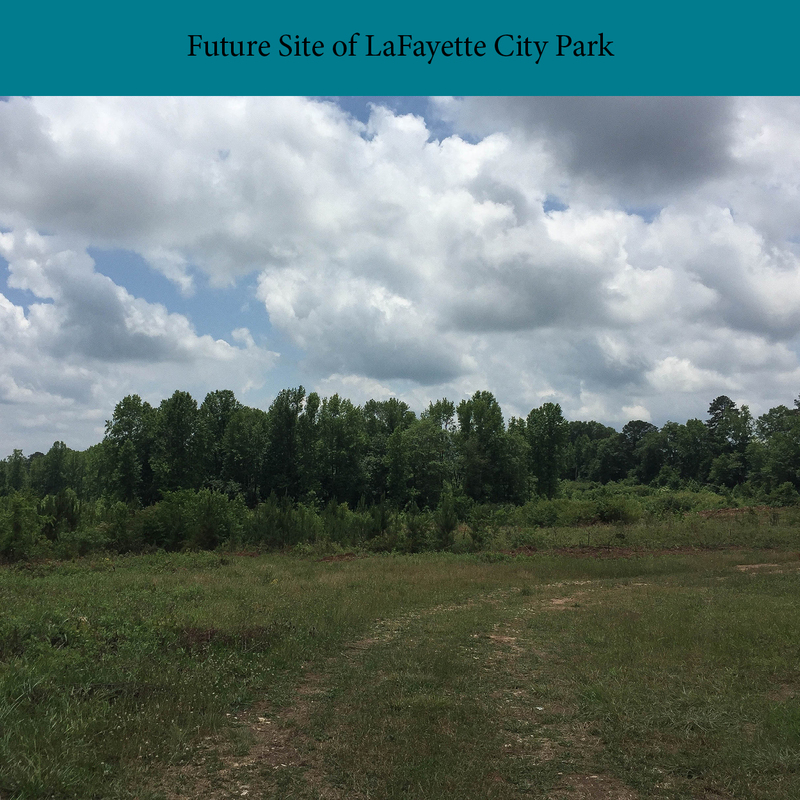 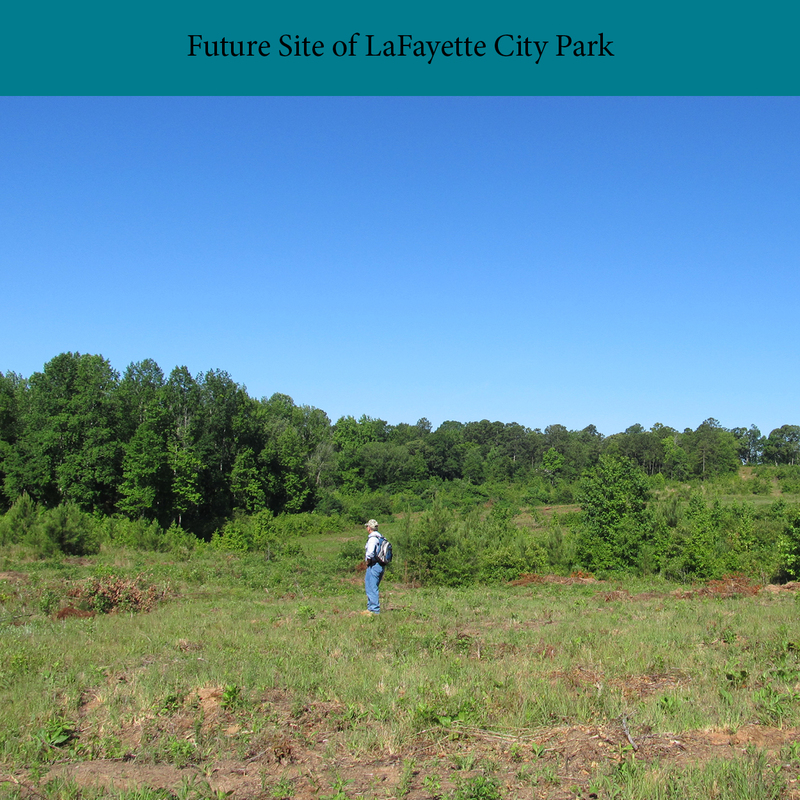 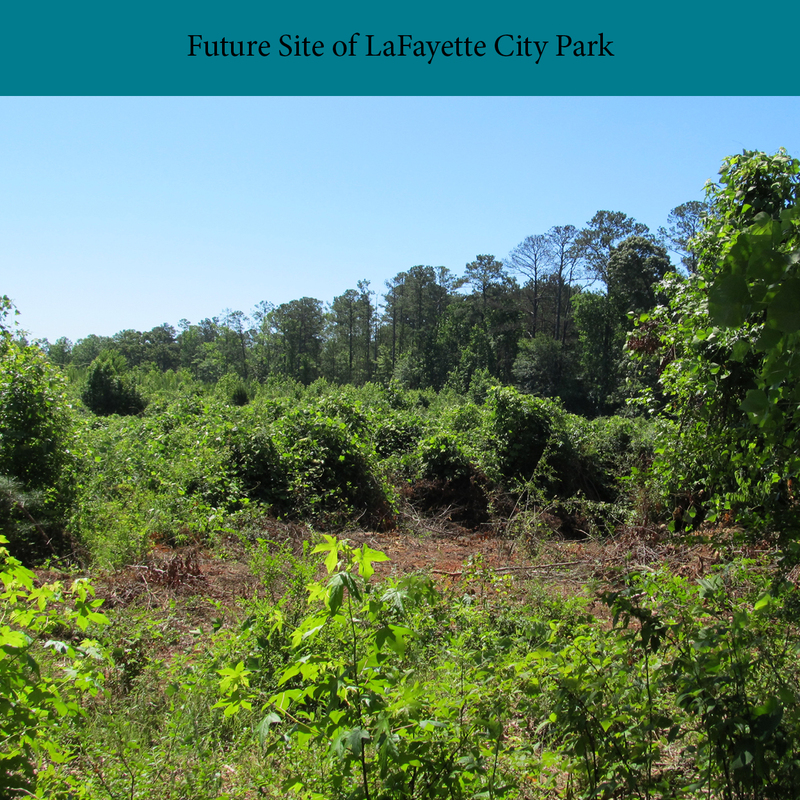 The park will serve residents of the city and surrounding rural areas, offer a recreation area for people coming to work in LaFayette, and provide a gathering place for families, friends, and out-of-town visitors. 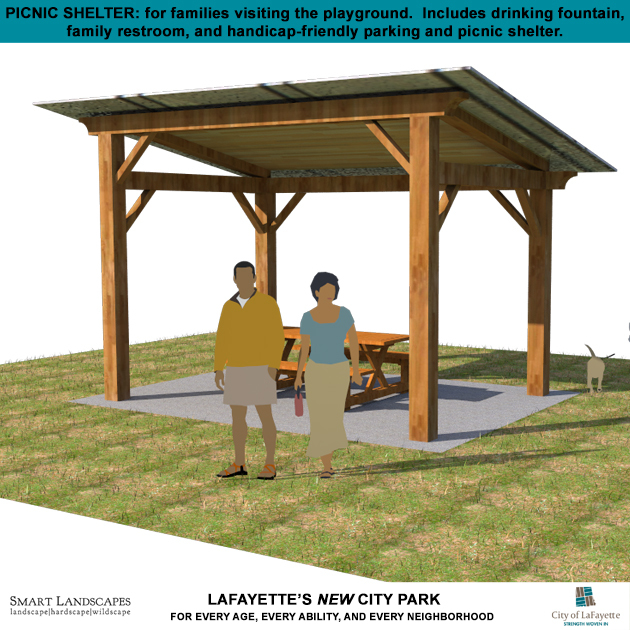 The new park is a visionary 52-acre project spearheaded by the City of LaFayette. 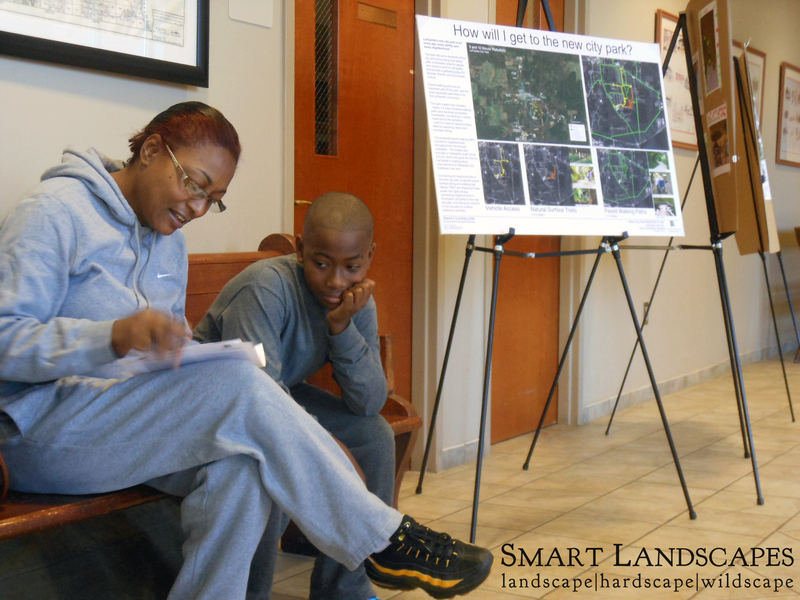 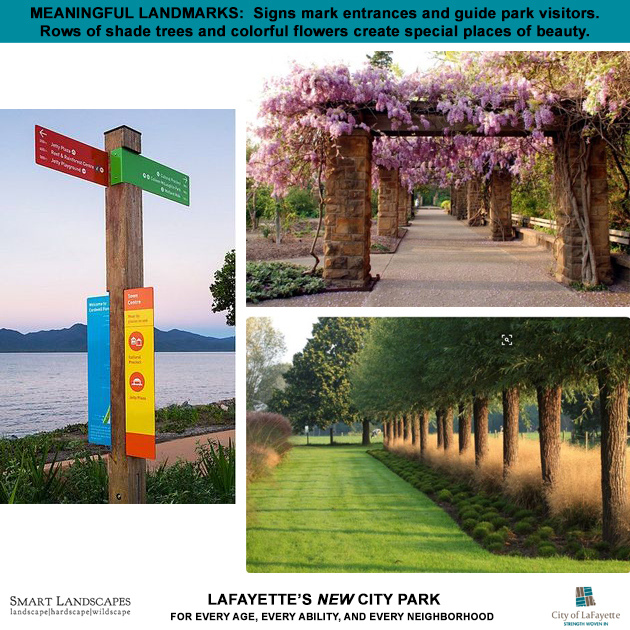 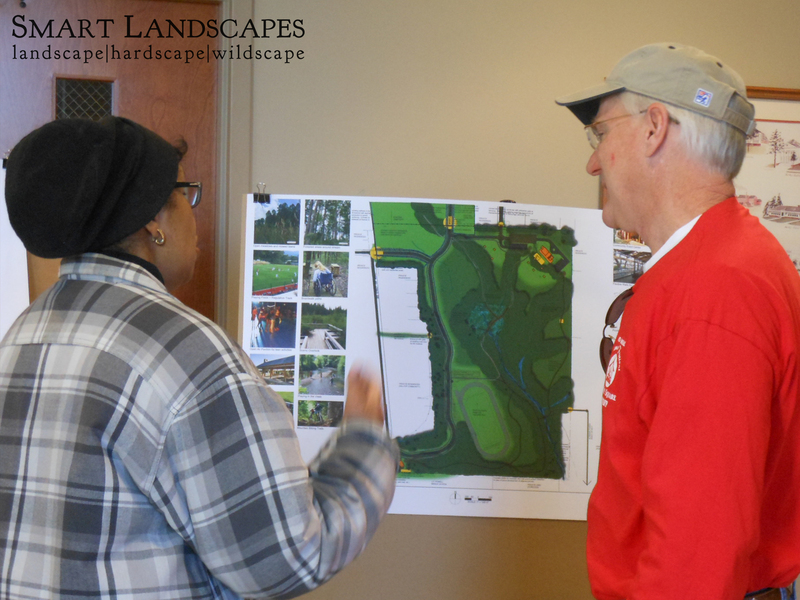 The City of LaFayette, your Advisory Team, and the Smart Landscapes design team developed a master plan based on public input during 2016-2018. 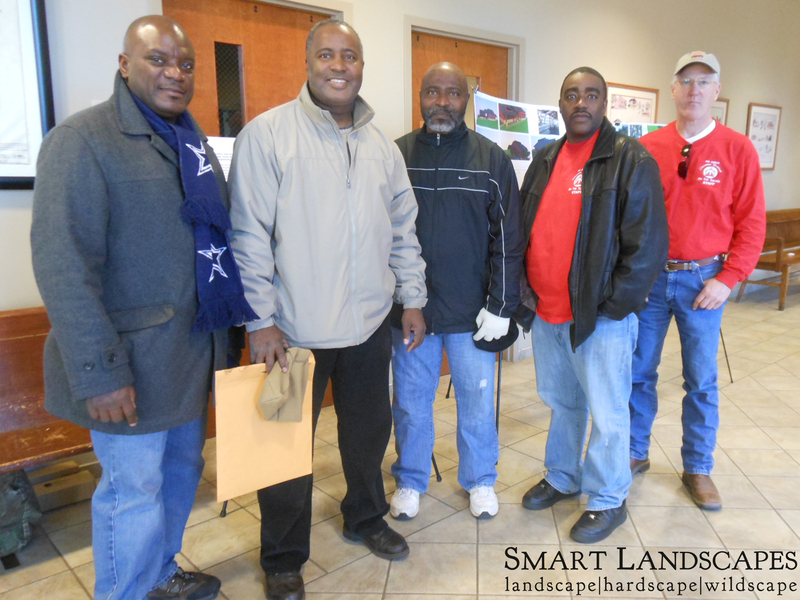 Thank you for contributing your voice and enthusiasm to this exciting project. 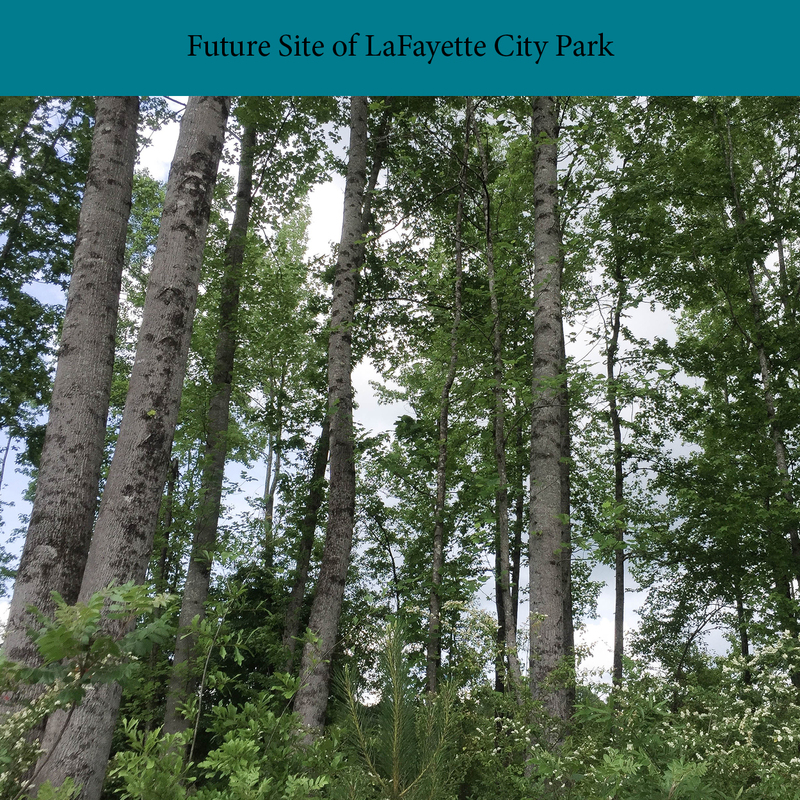 We share the park master plan with you now a sa starting place for developing this significant greenspace for LaFayette and the surrounding community. 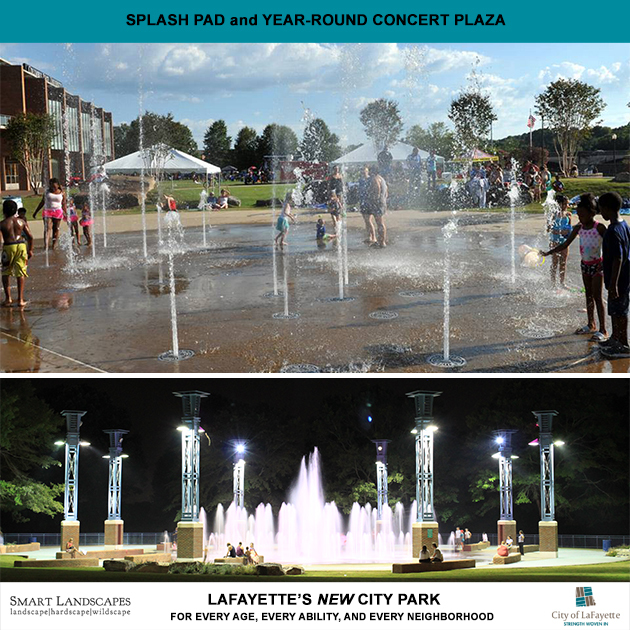 Phase 1of the new city park opened in 2018 and includes a five-acre area with a playground, picnic pavilion, and parking. 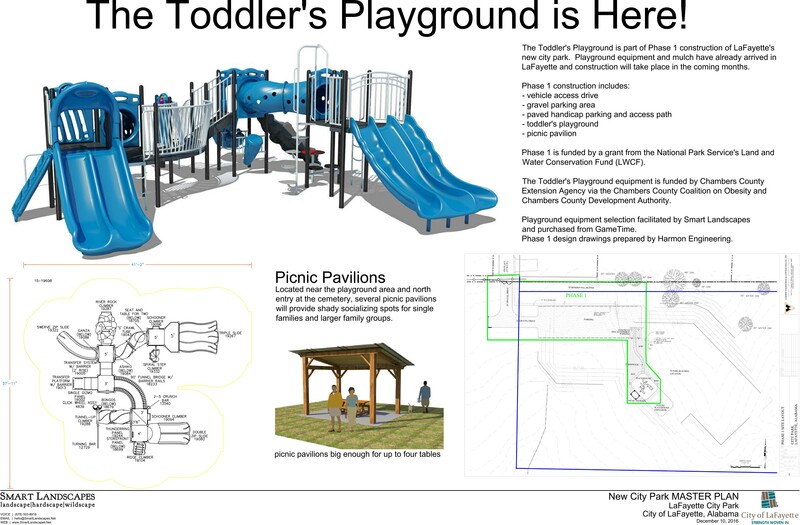 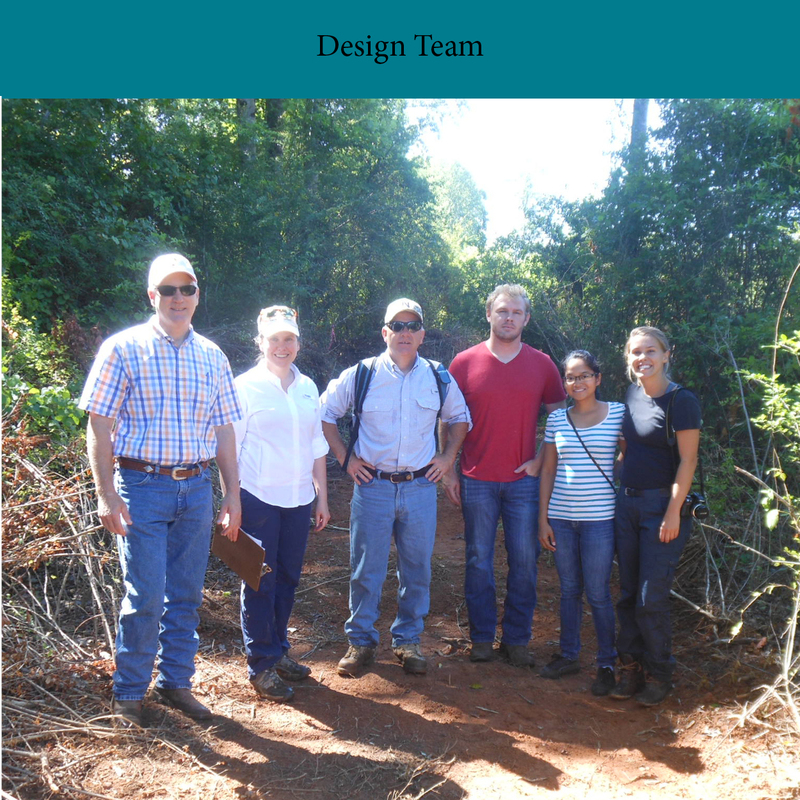 Phase 1 was paid for with a grant from the National Park Service’s Land and Water Conservation Fund (LWCF), and with additional funding for playground and adult fitness equipment provided by Chambers County Extension Agency, Chambers County Coalition on Obesity, and Chambers County Development Authority. 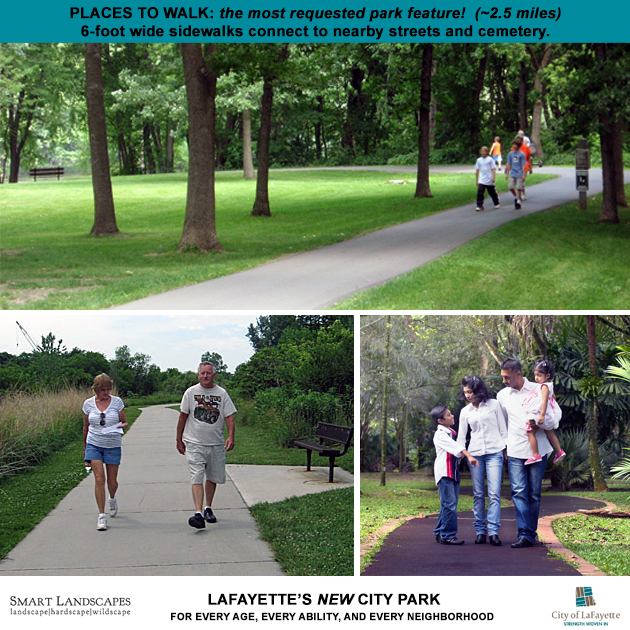 Paved sidewalks are an important part of this park. 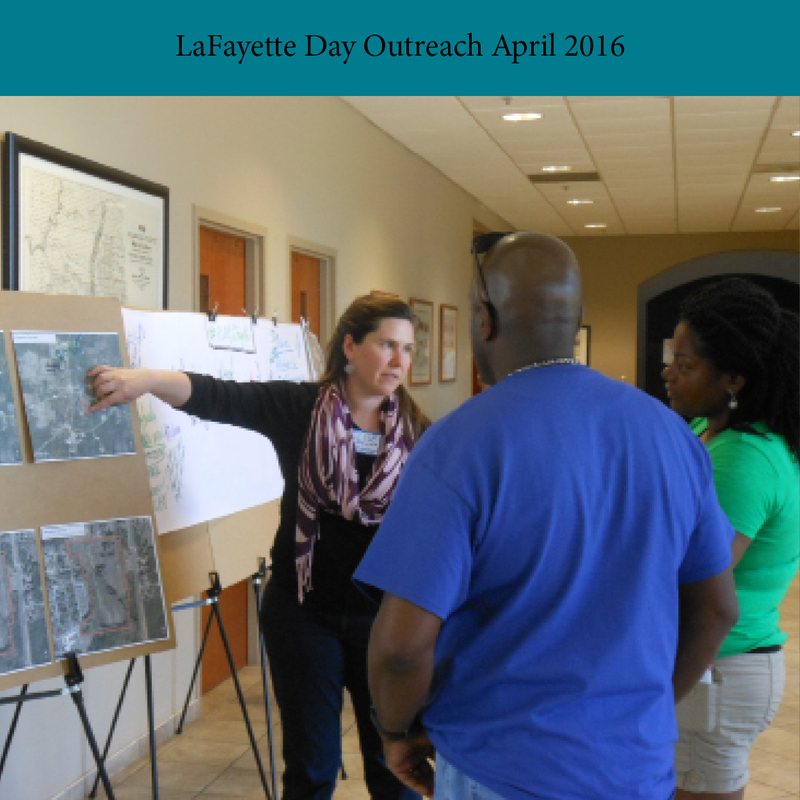 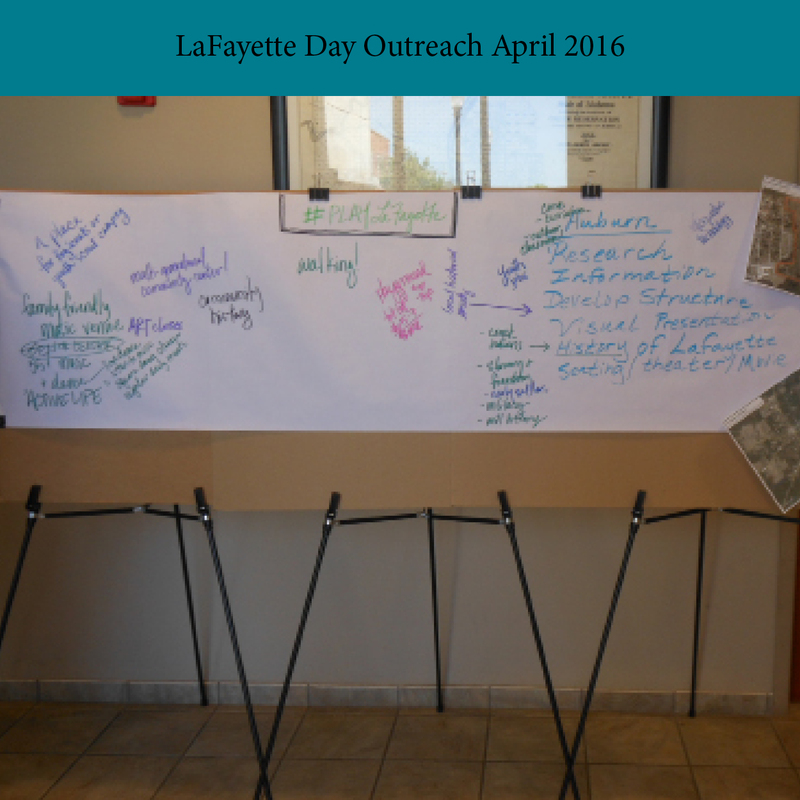 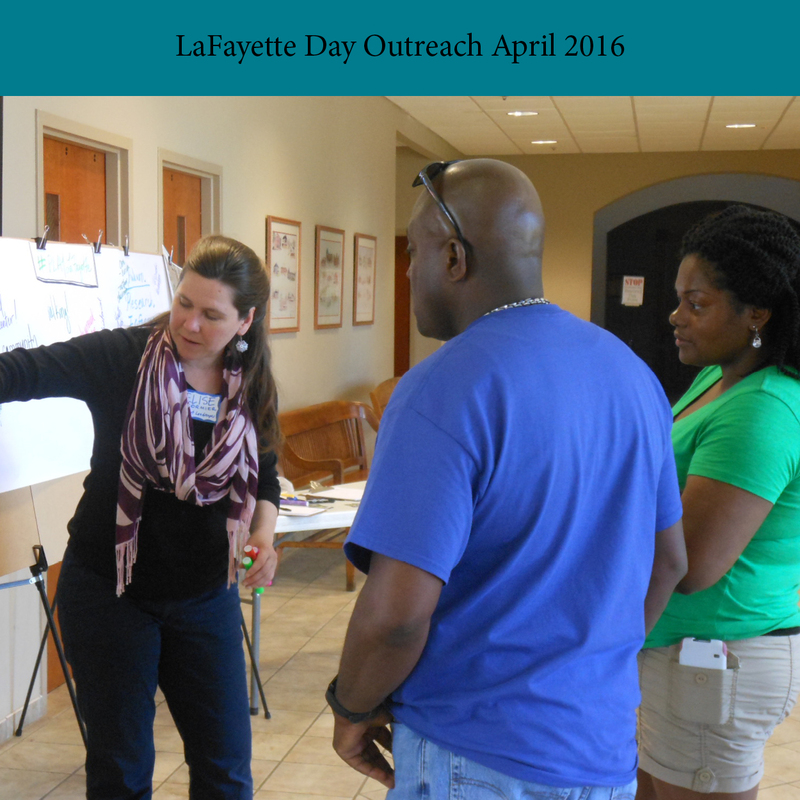 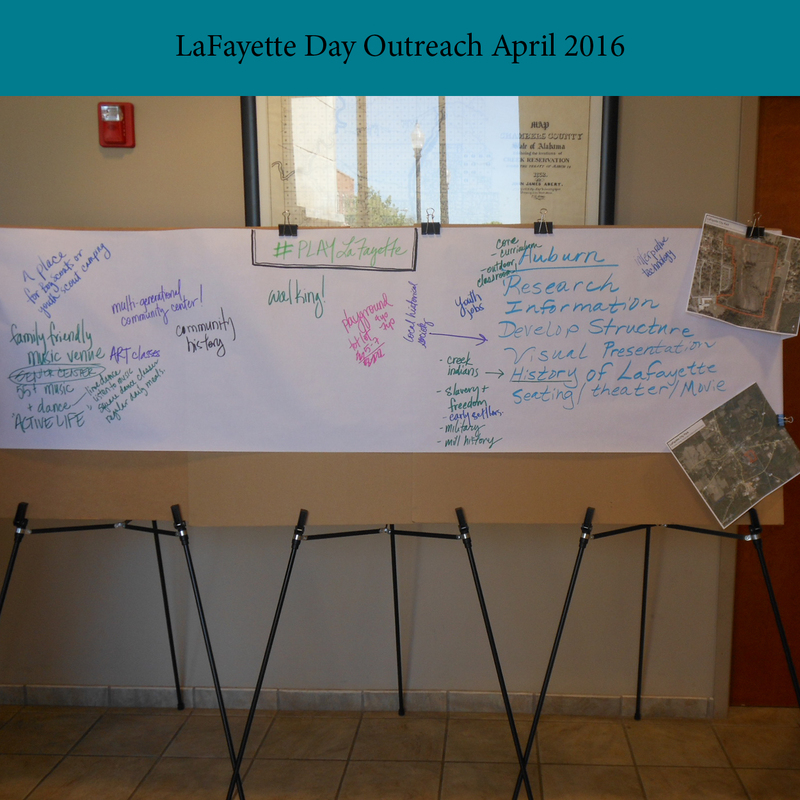 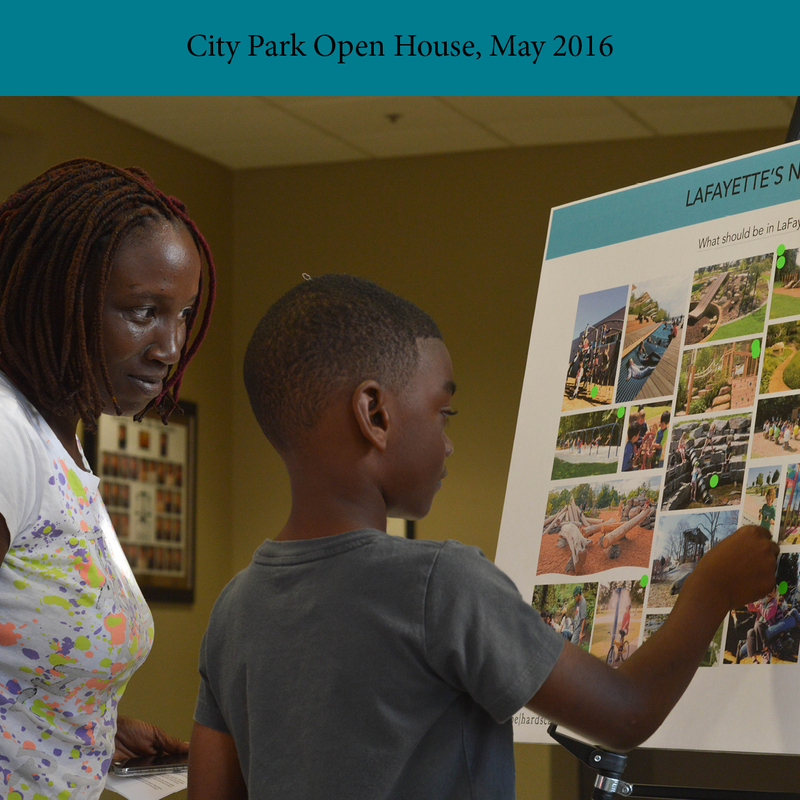 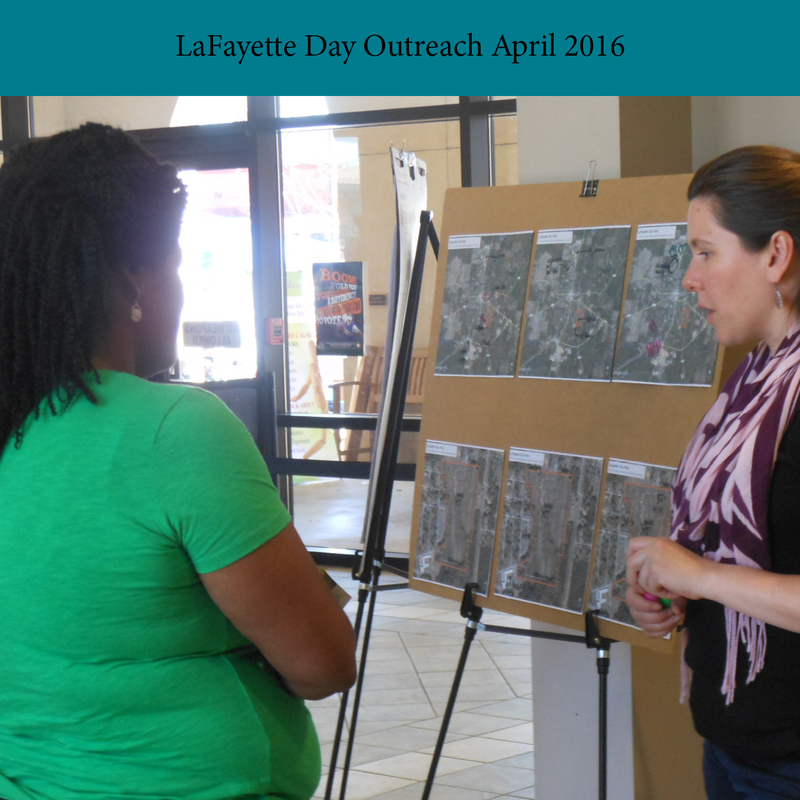 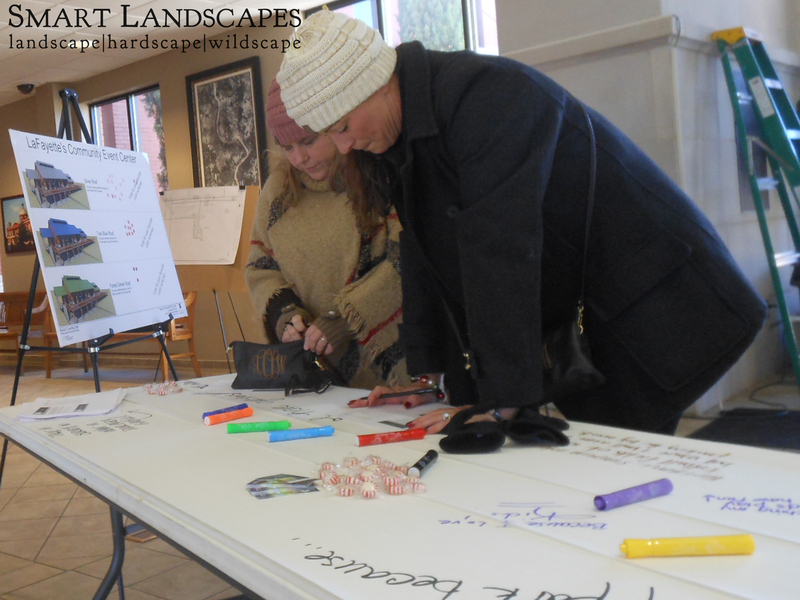 During public outreach, the LaFayette community’s most requested park feature was paved walking areas. 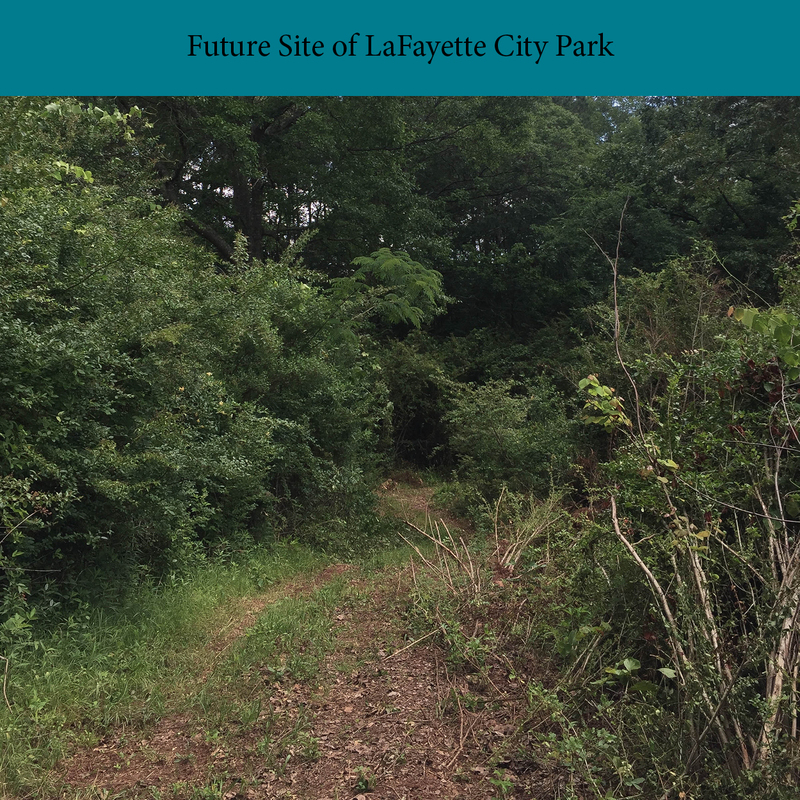 The proposed paved walking paths connect to neighborhoods throughout the city by linking to existing sidewalks. 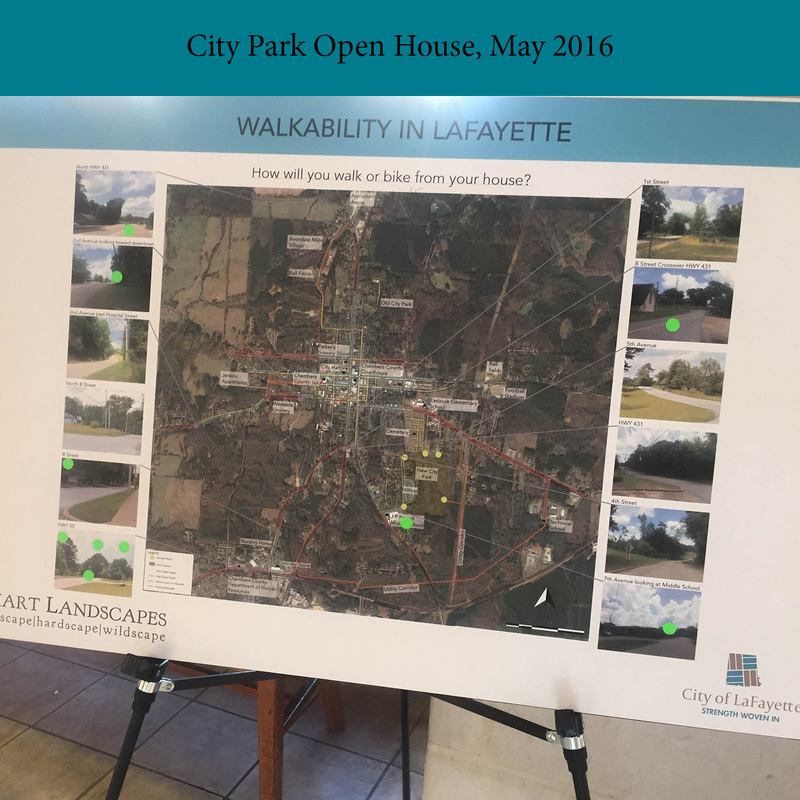 The master plan includes a “walkability study” of the full city, which the City of LaFayette will use to prioritize future improvements to the city’s sidewalks and roadways over time. 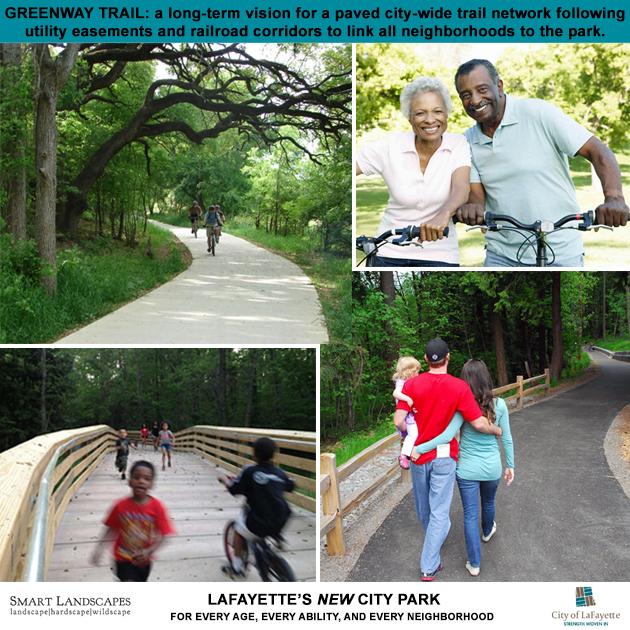 Paved trails for biking and walking (greenways) are proposed for utility rights-of-way, connecting neighborhoods in southwest and northwest LaFayette to the new city park and linking schools for outdoor classroom and sports activities. 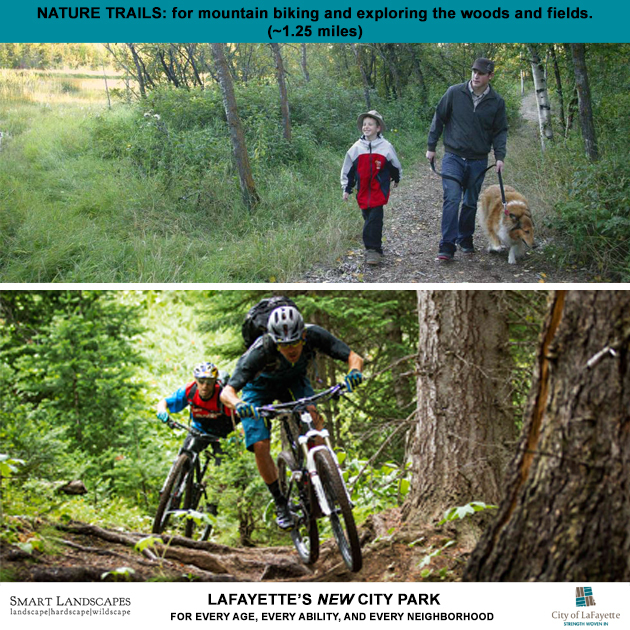 LaFayette’s new city park includes a variety of experiences, from woodlands and streams to open fields and lawns. 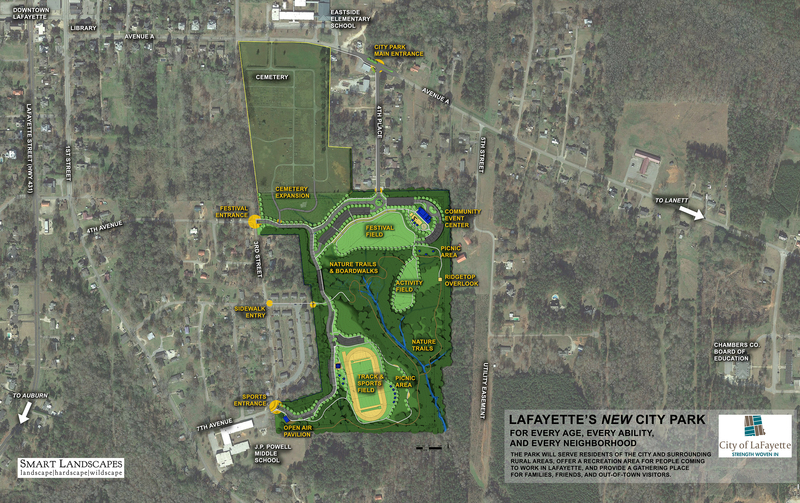 Festival Field, Activity Field, Track and Sports Field, as well as park entrance areas and cemetery expansion. 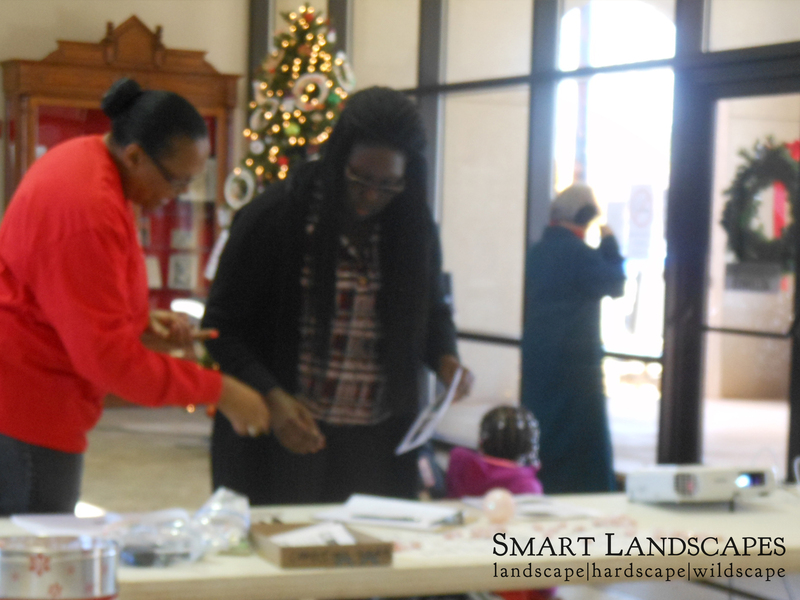 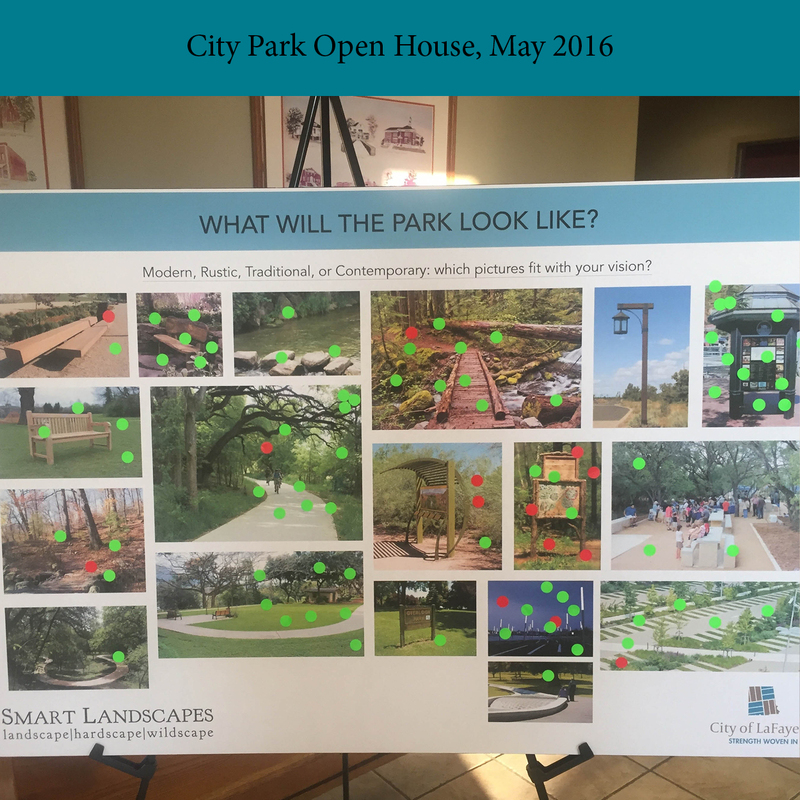 These areas are perfect for family play and community events, and give a traditional look to the park. 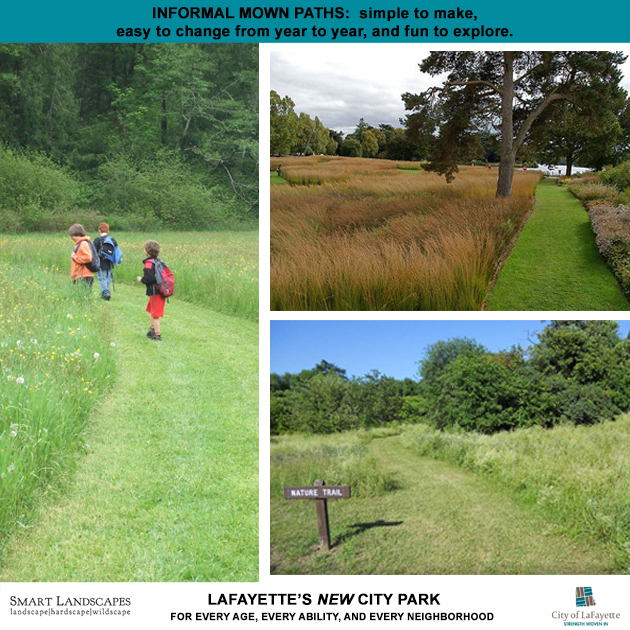 Open views throughout the park, planted with native grasses and wildflowers. 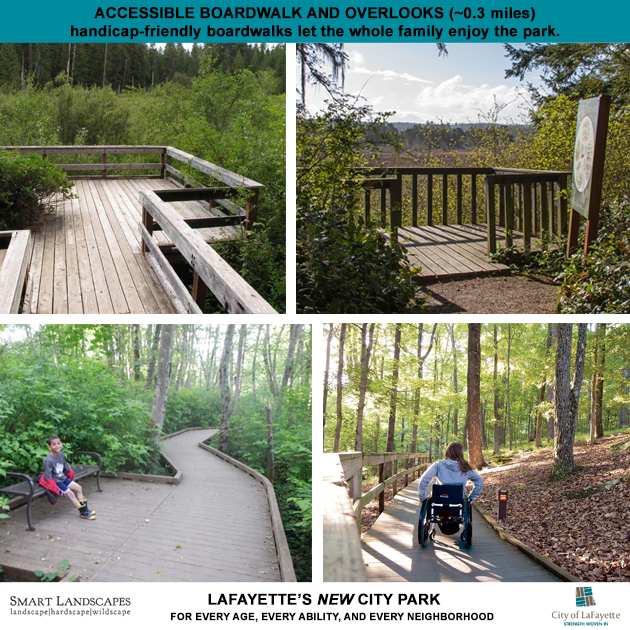 These areas attract birds and butterflies which park visitors will enjoy viewing, and provide seasonal color changes. 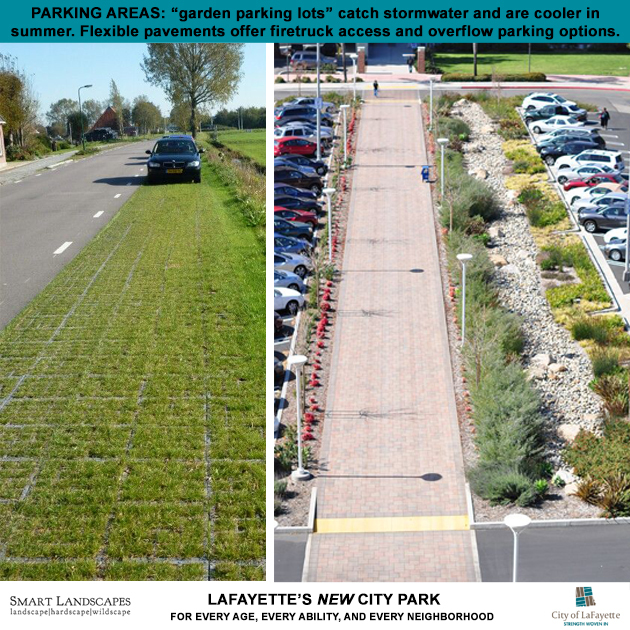 These areas are low maintenance as well. 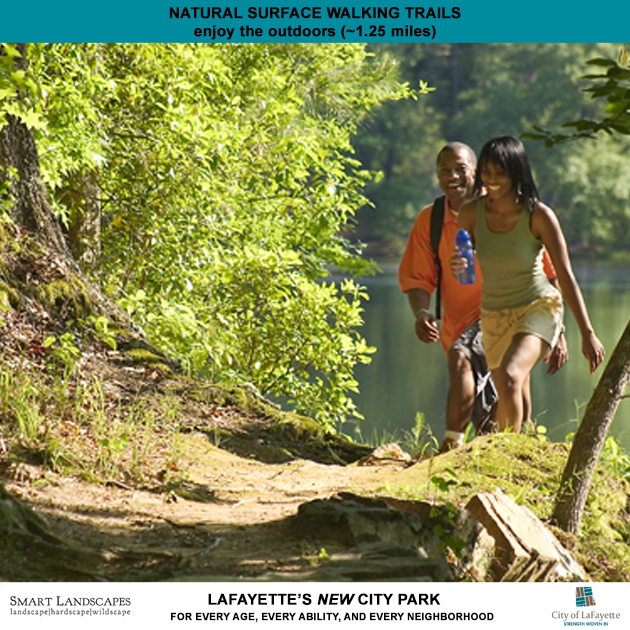 Woodlands provide welcomed shade to park visitors during hot weather months, and offer an interesting walk on the nature trails. 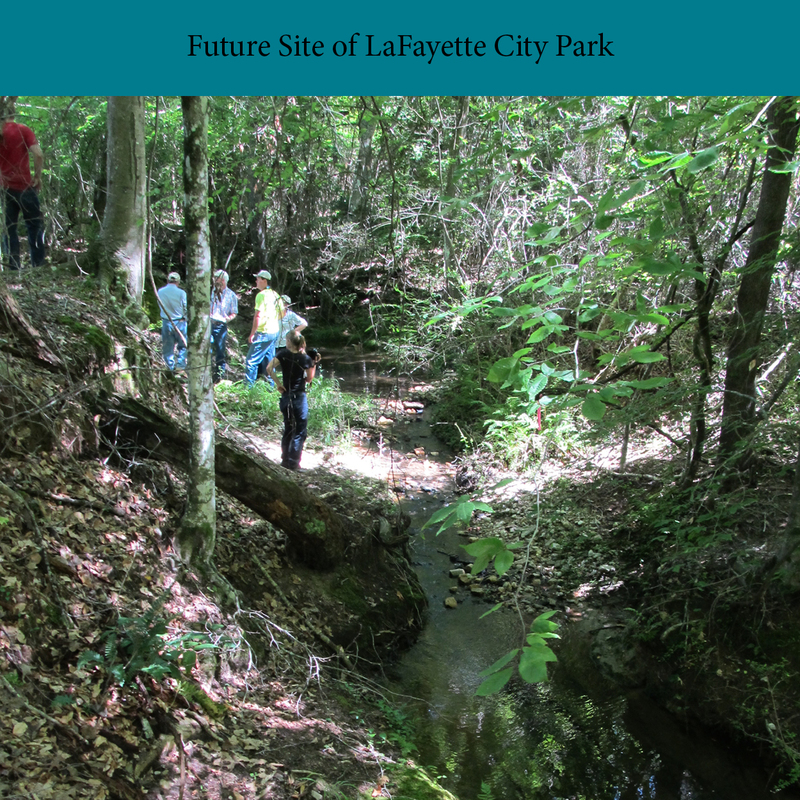 Trees and other plants in the stream buffer area help protect the park’s creek so that children can enjoy splashing in clean water. 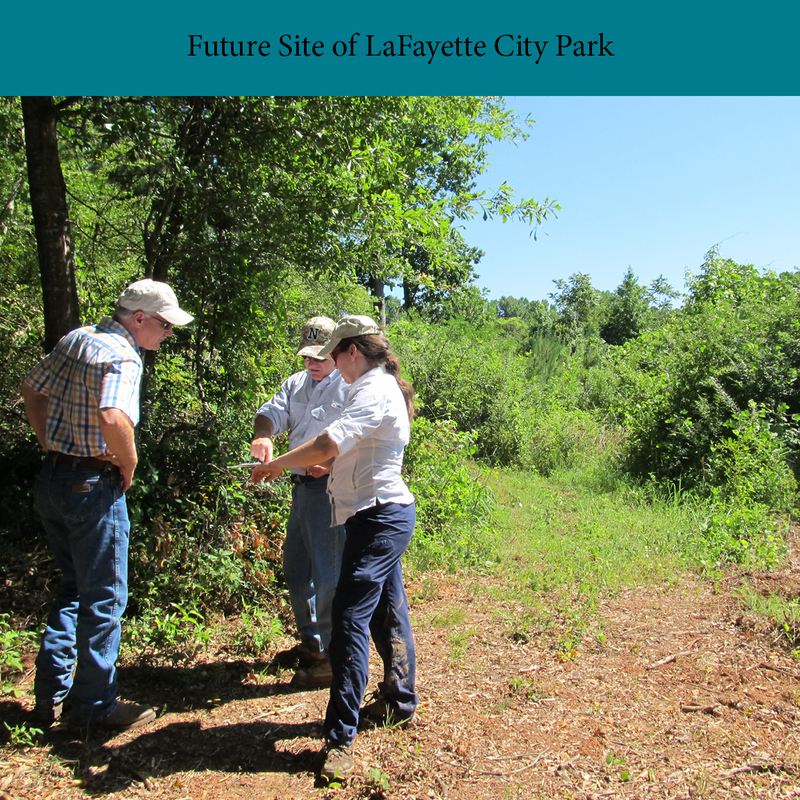 This area provides important habitat / housing for wildlife, and a good place for park visitors to view wildlife. 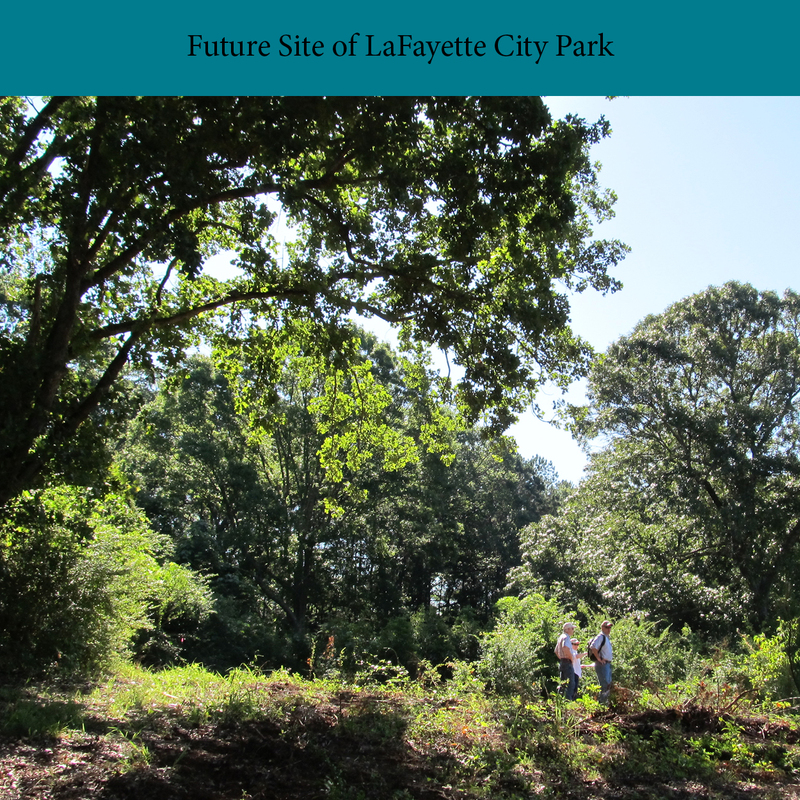 planting layered vegetation (a mix of shrubs, small trees, and tall shade trees) along the park edges gives privacy to people living next to the park. 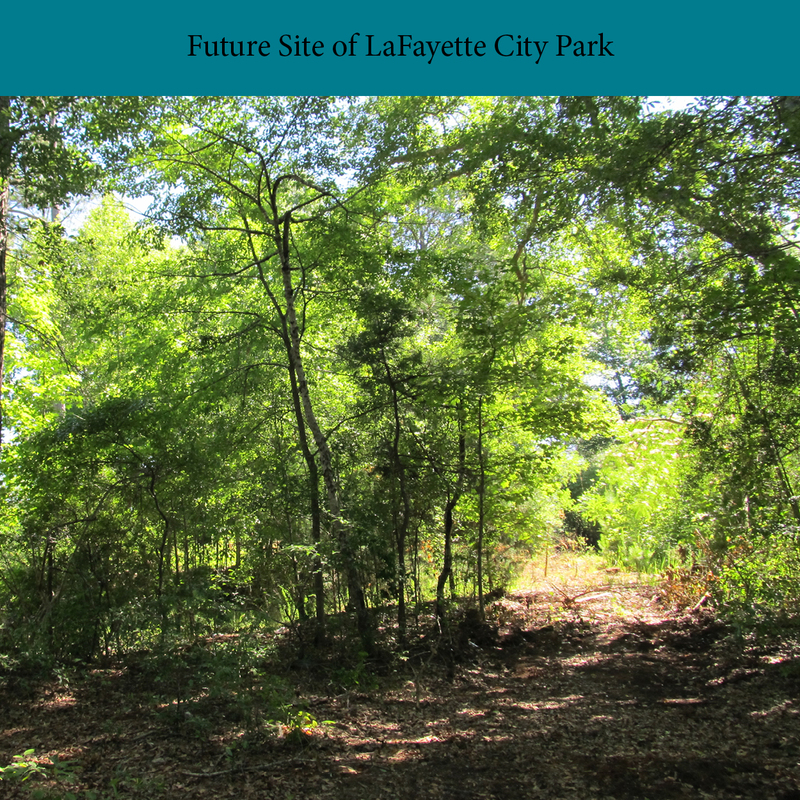 A dignified row of trees at the edge of the cemetery expansion also provides an important separation from park activities. 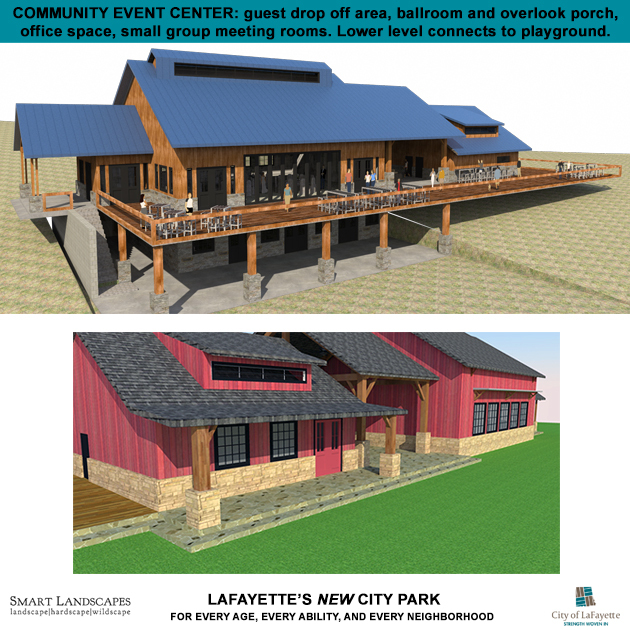 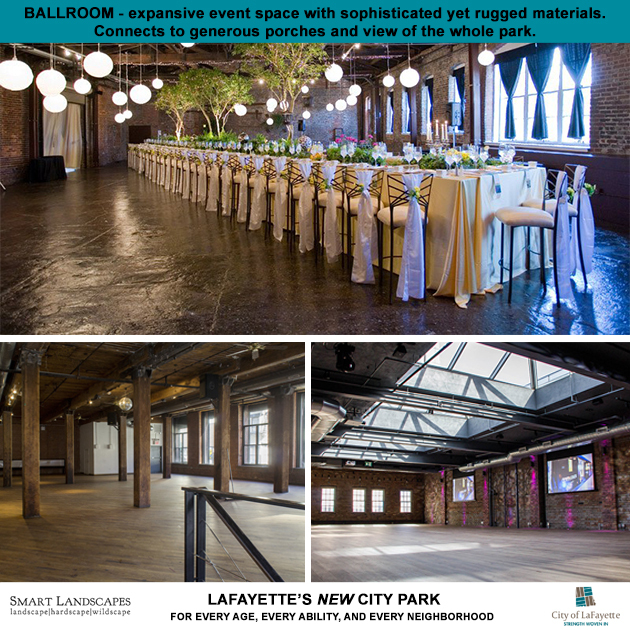 The Community Event Center was custom designed for LaFayette based on community ideas. 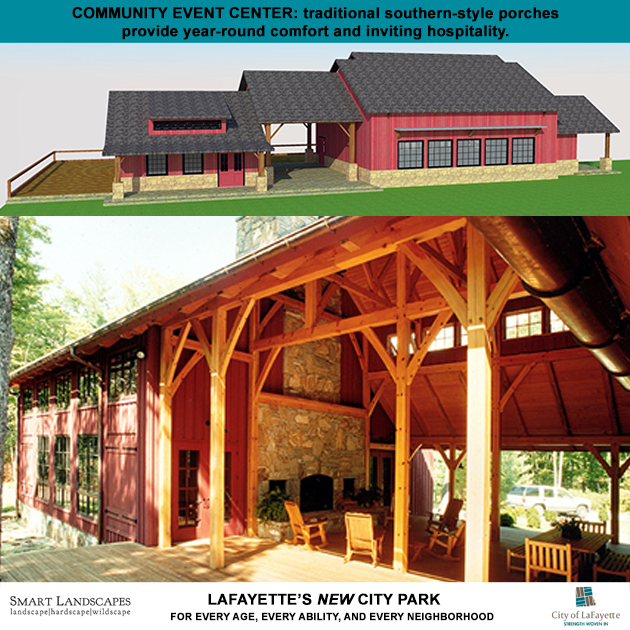 The building includes a drop off area for guests, a welcoming covered porch entrance, and a large ballroom with doors opening onto a porch with views across the park. 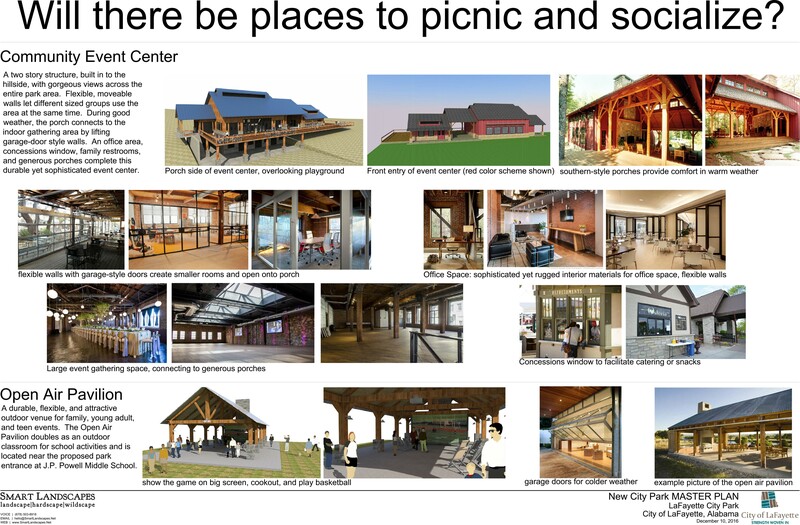 The building holds space for small group meetings, concessions and catering, and an office area for park administration. 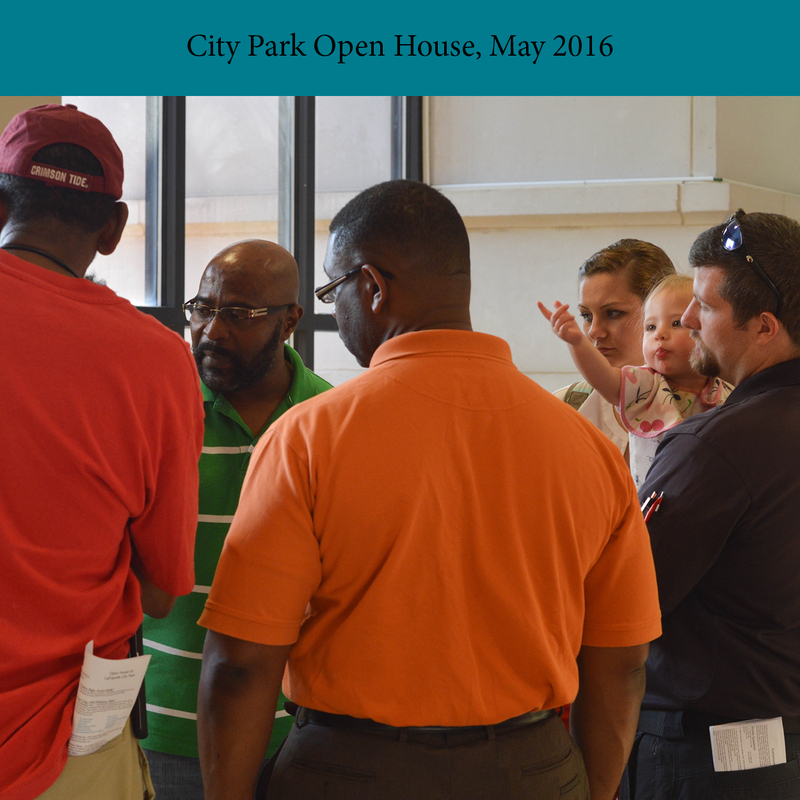 The lower level of the building opens to the playground and splash pad, perfect for birthday parties and reunions. 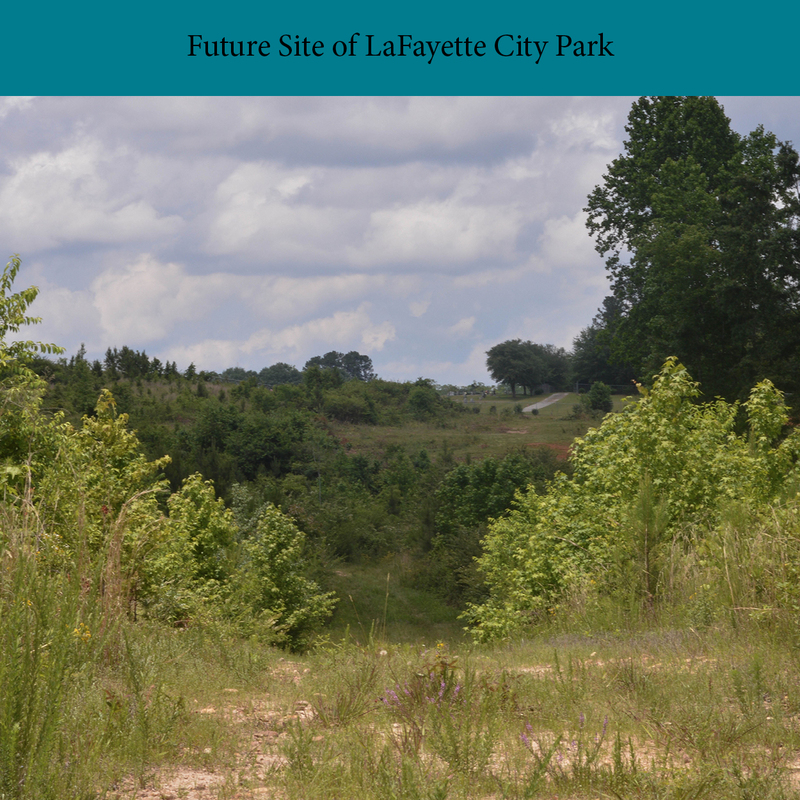 The community of LaFayette asked for big fields for holding festivals and large - scale reunions, a nice track and sports field, and a variety of places for picnicking, grilling, and gatherin g. The Festival Field includes built - in seating on the hillside for crowds to enjoy seasonal activities like outdoor movies, roller skating, and trampoline events. 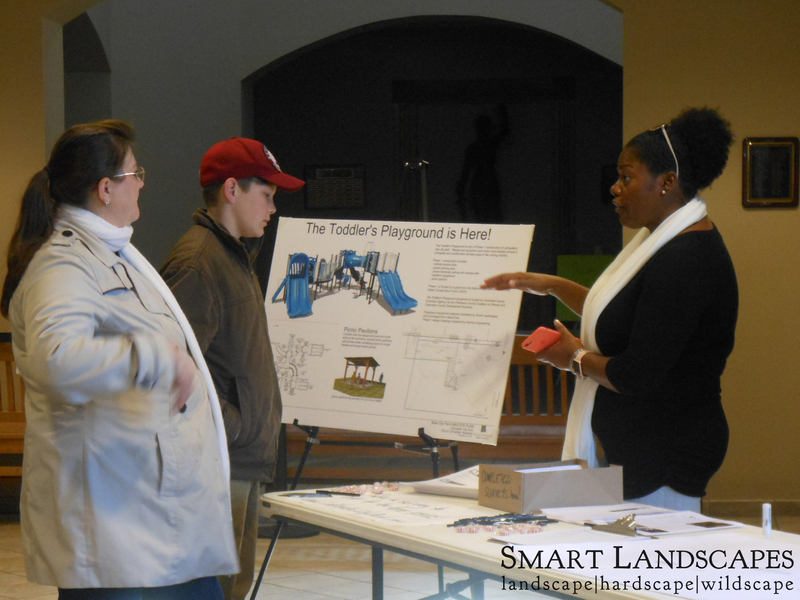 The smaller Activity Field is perfect for fitness groups and outdoor classroom activities. 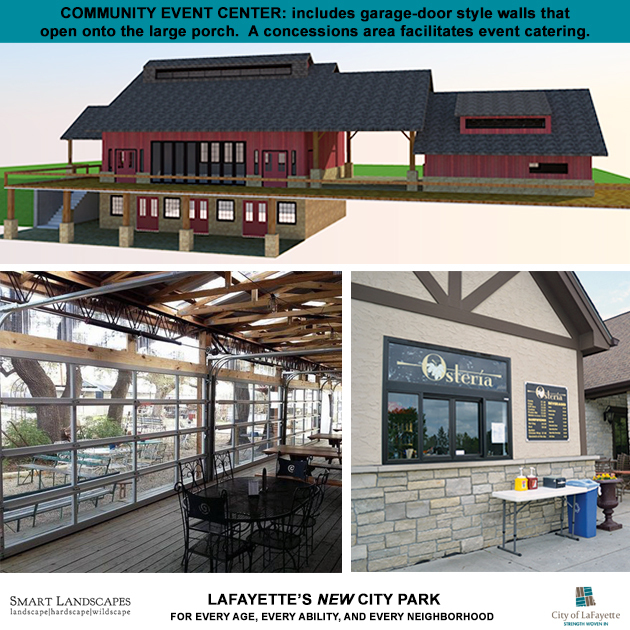 The open air pavilion, custom - designed for LaFayette with input from the city’s youth, is the perfect spot to watch the game on the big screen, cook out, and play basketball. 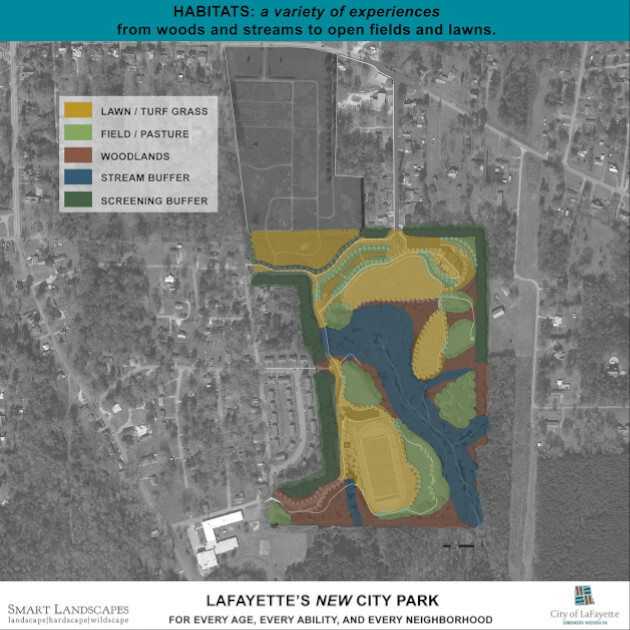 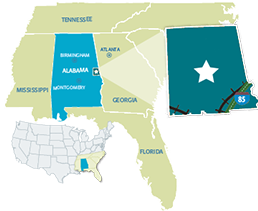 The master plan design was developed in close partnership with residents of LaFayette and the surrounding rural areas. 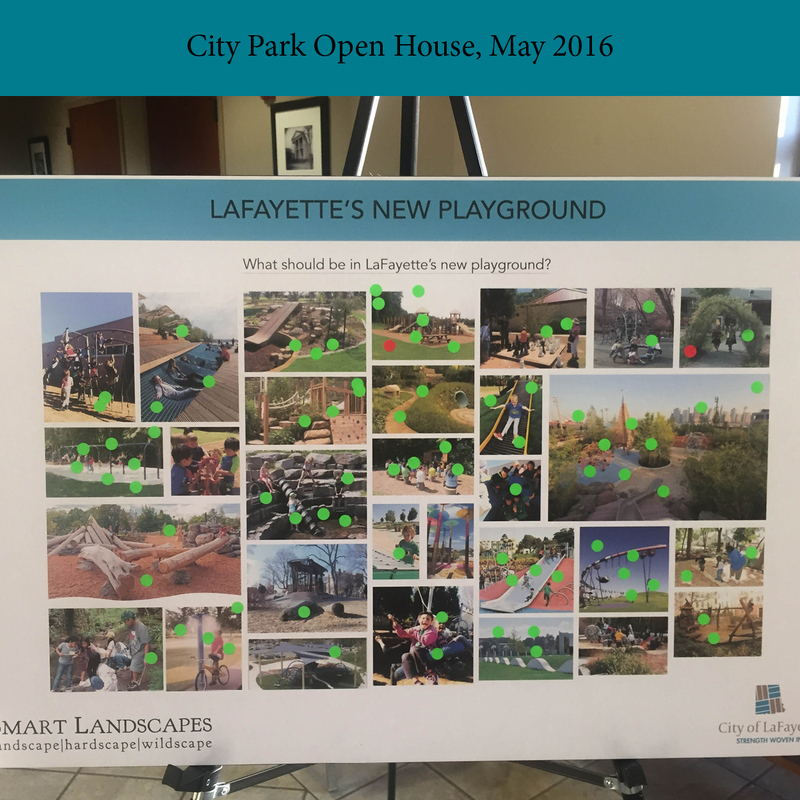 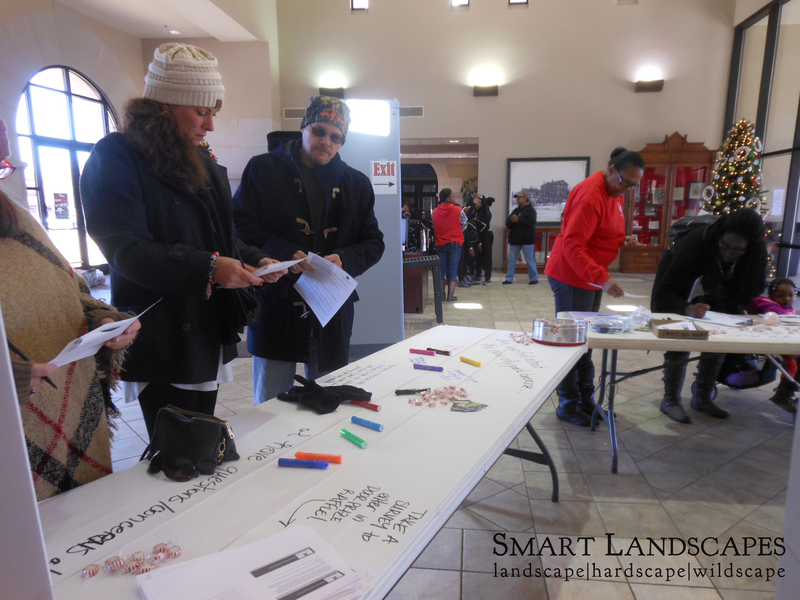 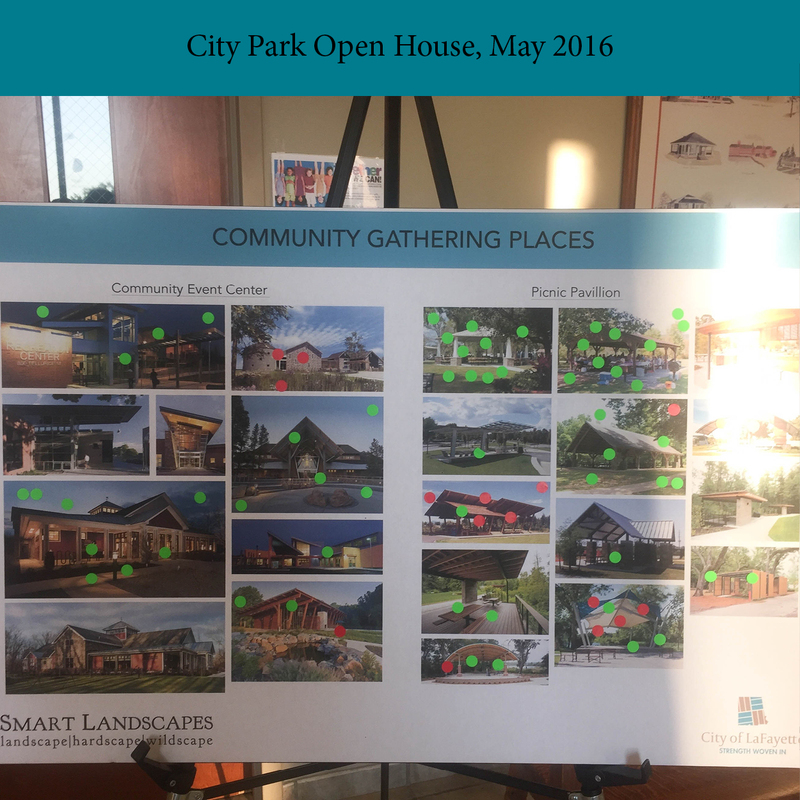 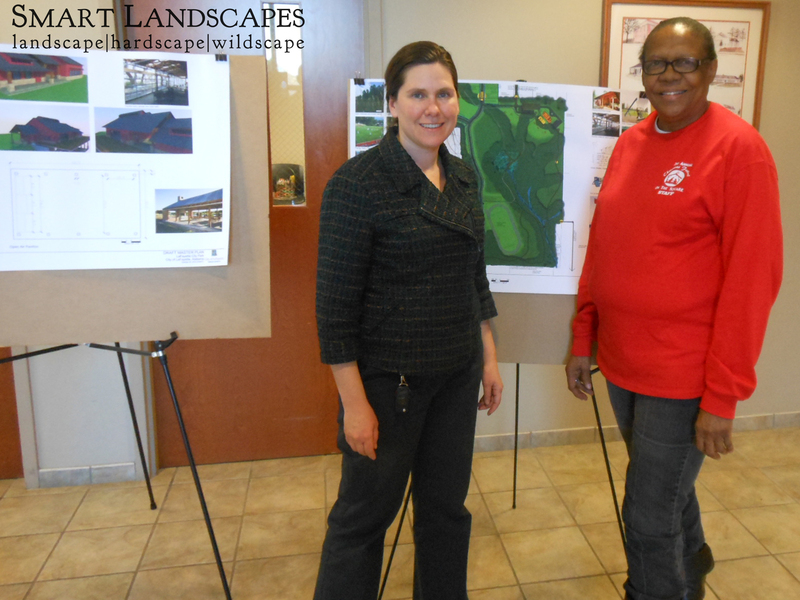 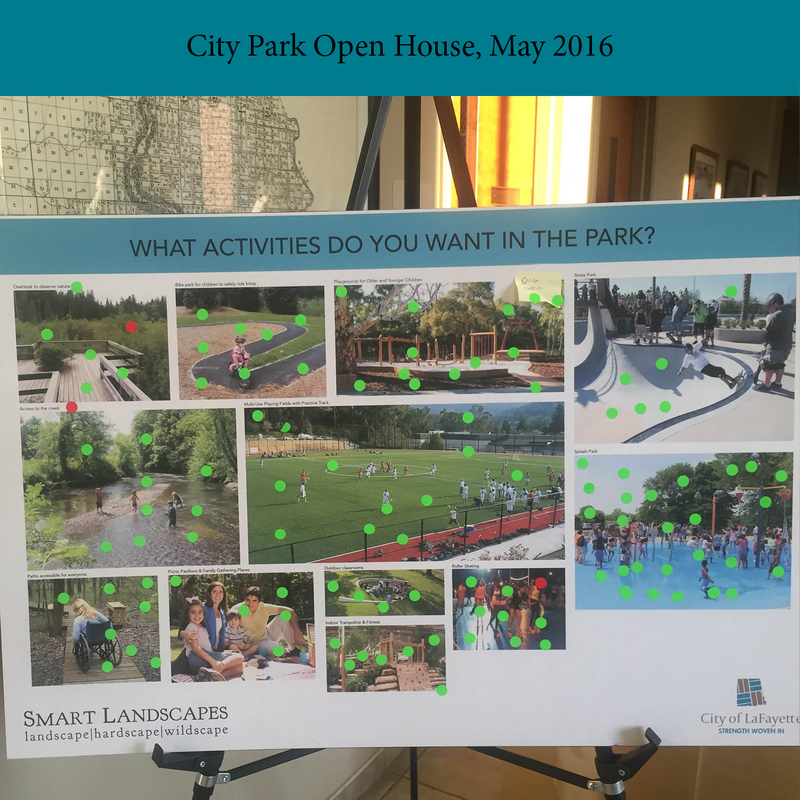 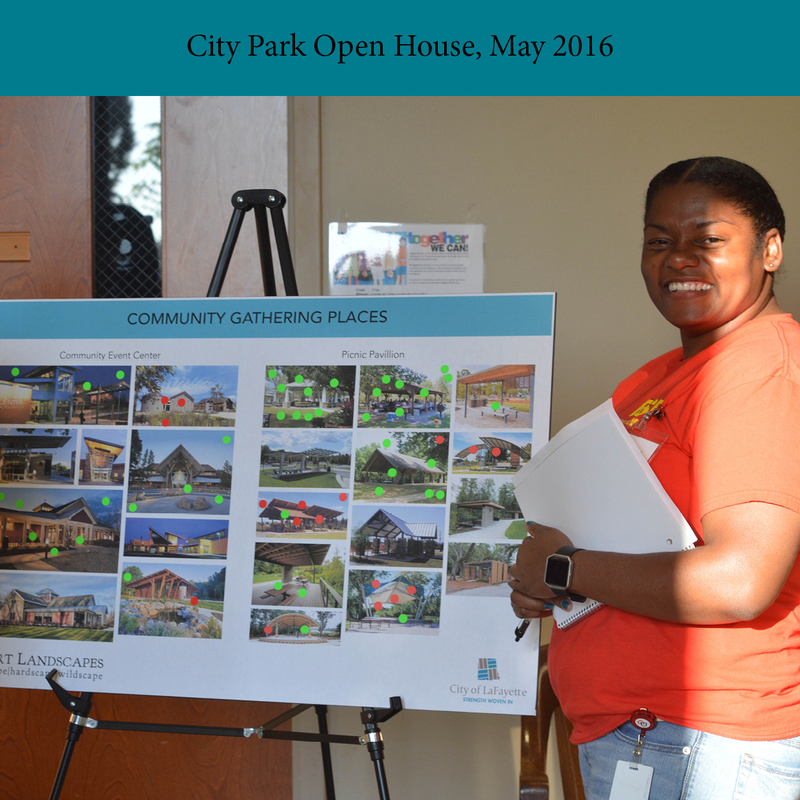 A series of public open houses invited LaFayette residents to vote for their favorite features and ask the design team qu estions. 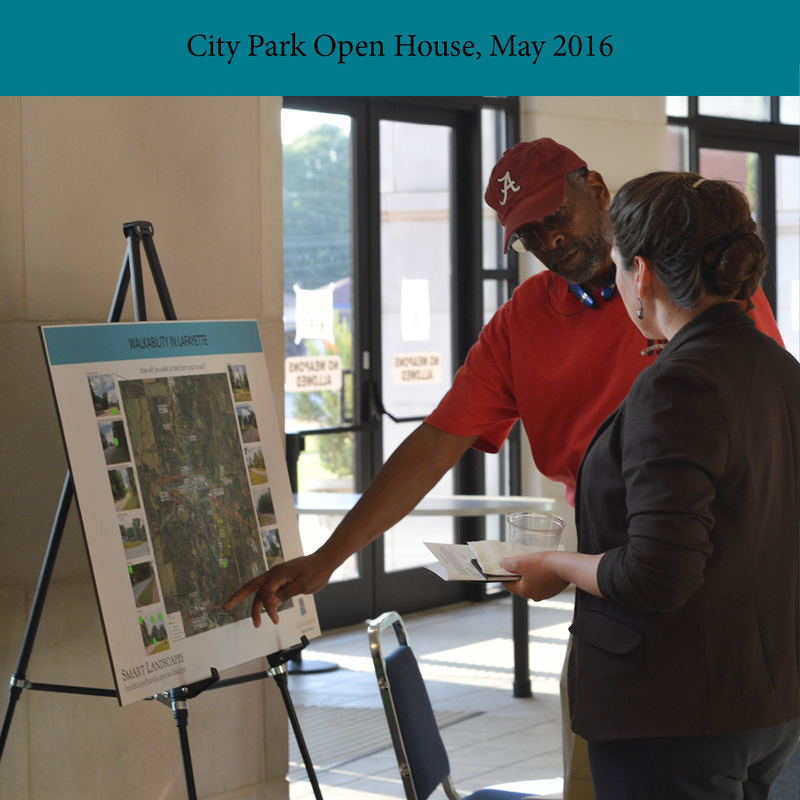 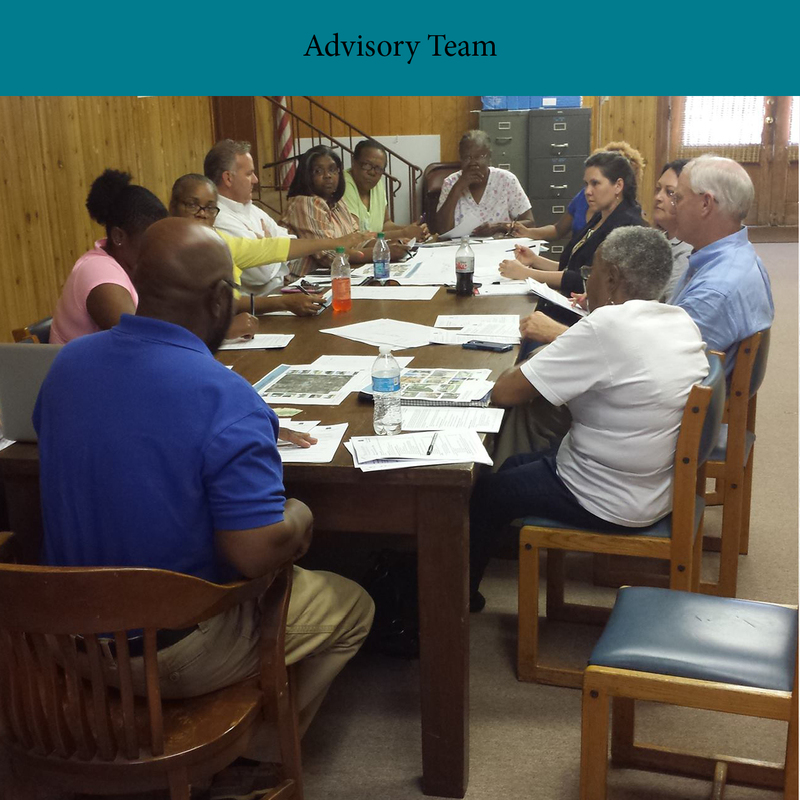 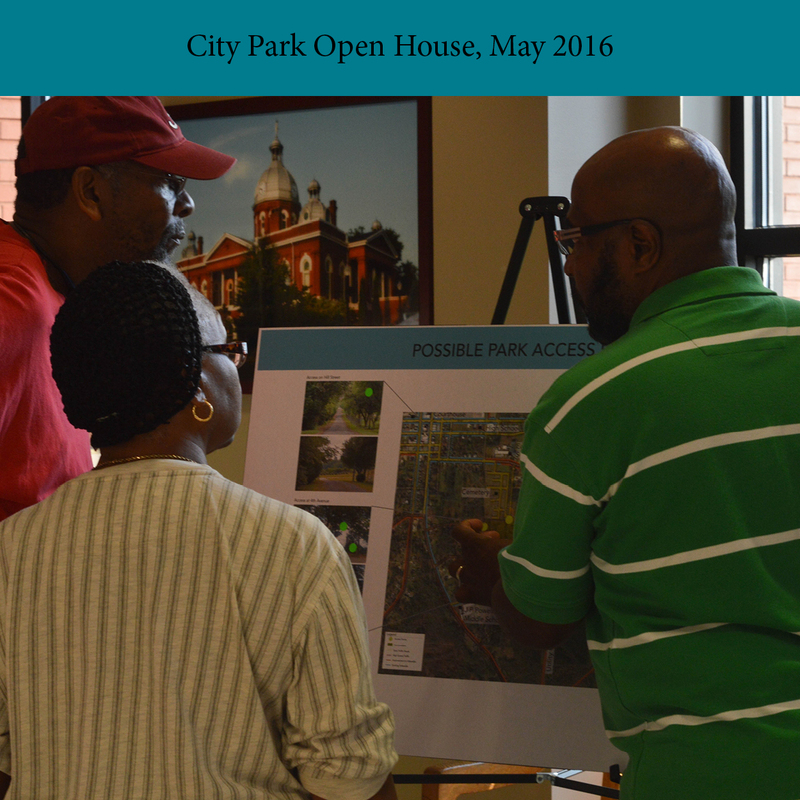 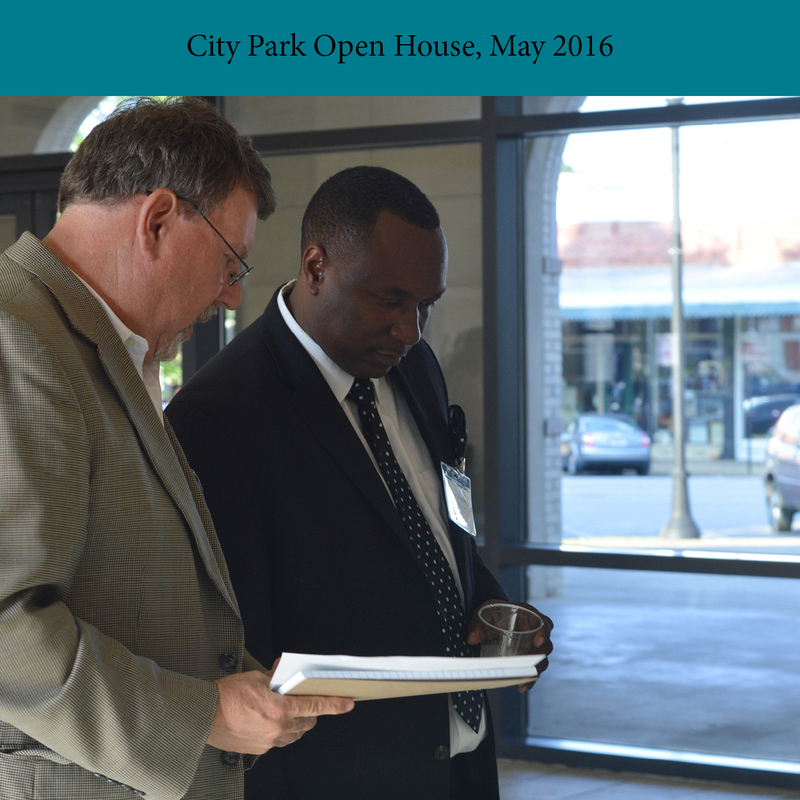 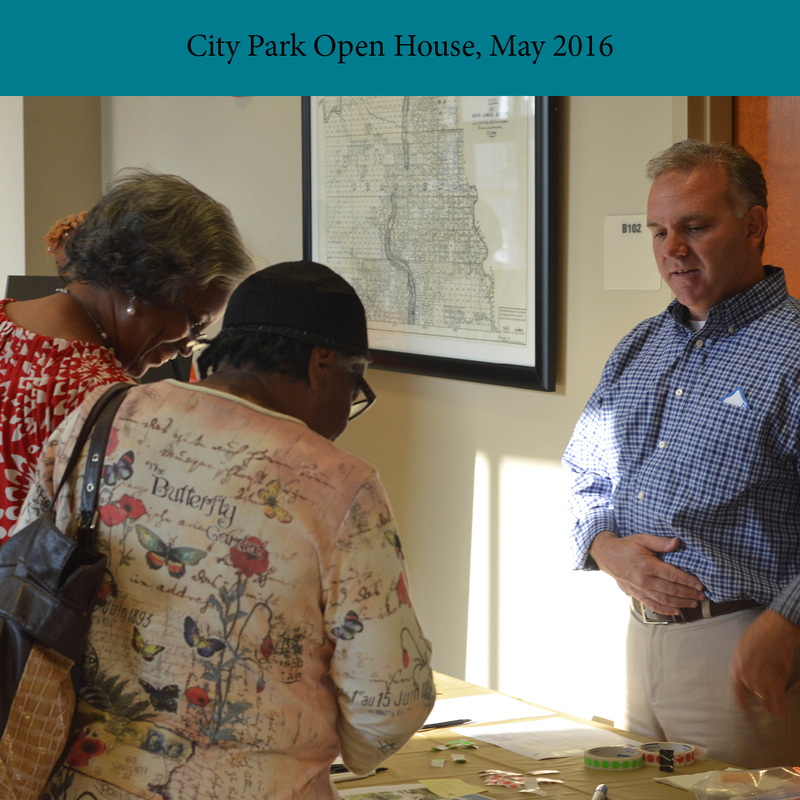 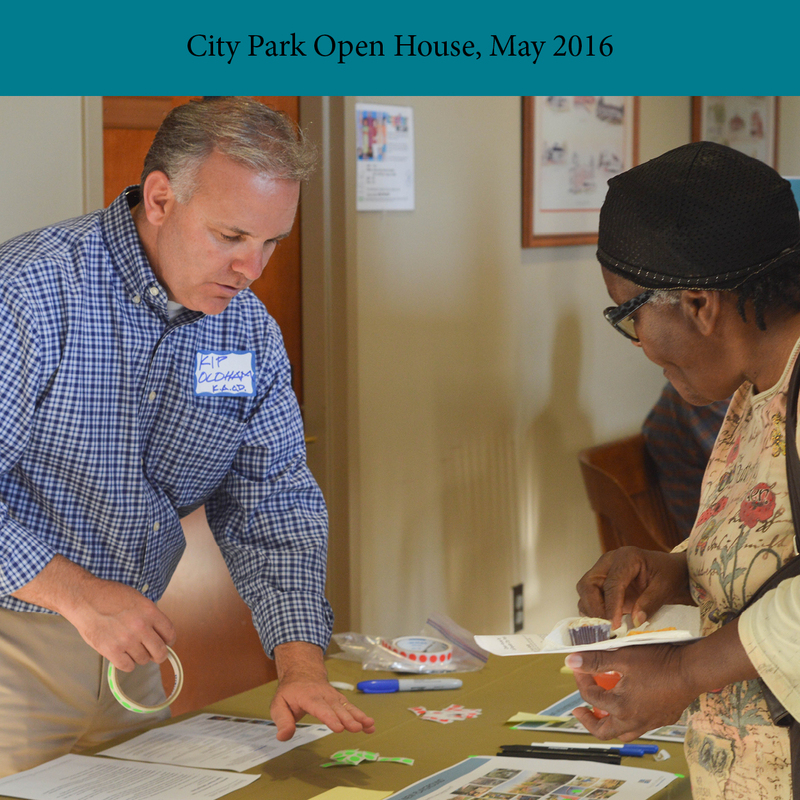 A citizen Advisory Committee met regularly throughout the project to provide on - going feedback and share progress. 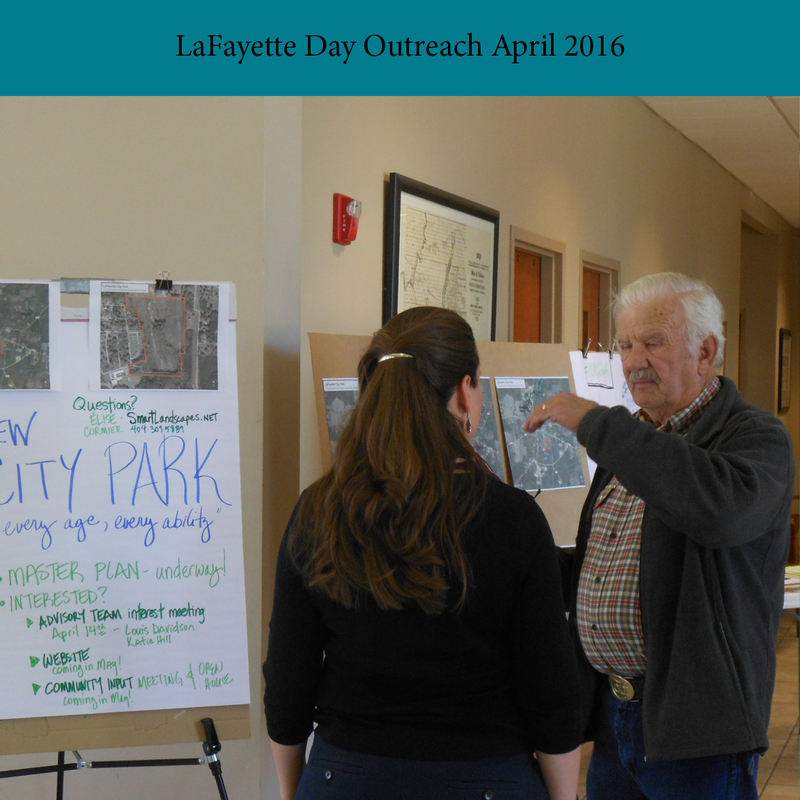 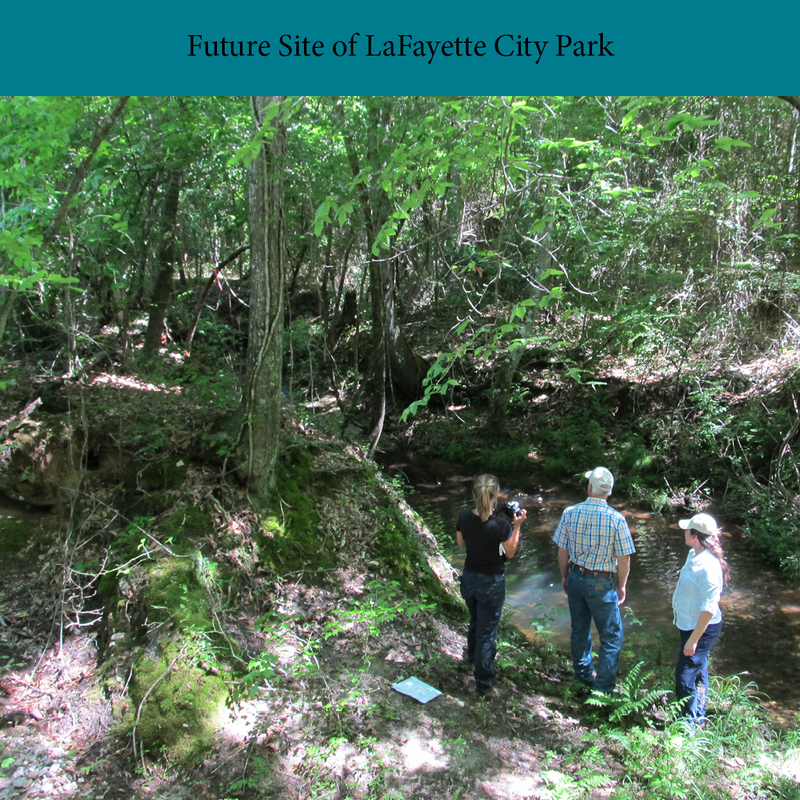 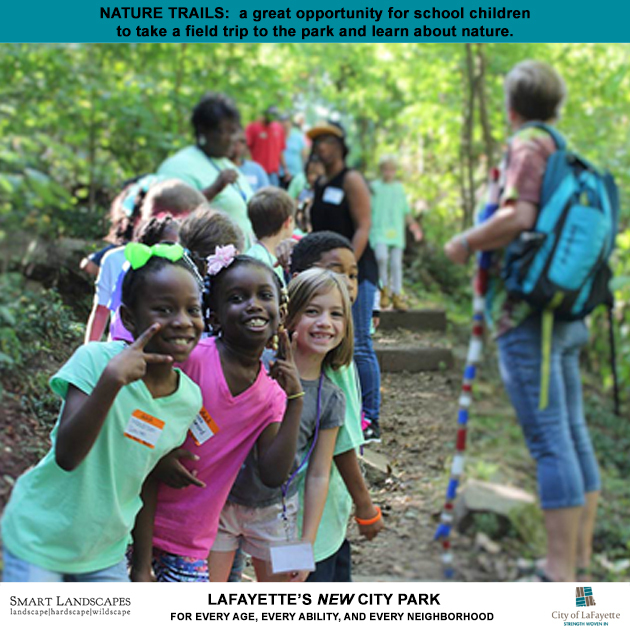 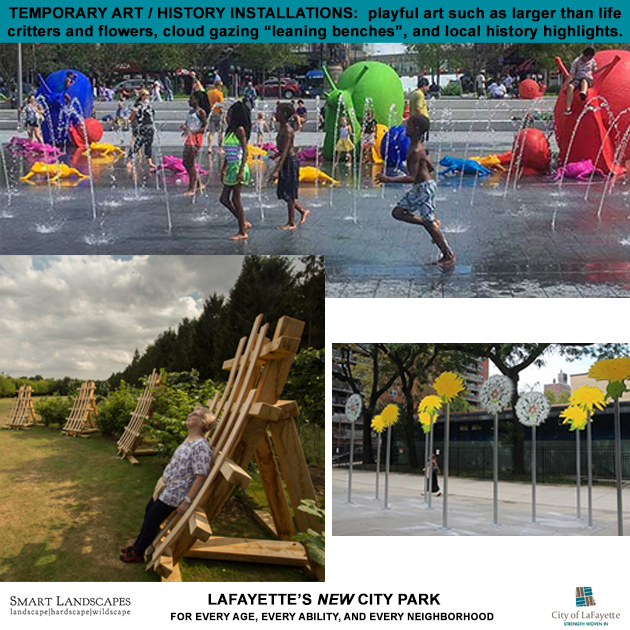 LaFayette’s city council and mayor continue to play key roles in spearheading the park idea. 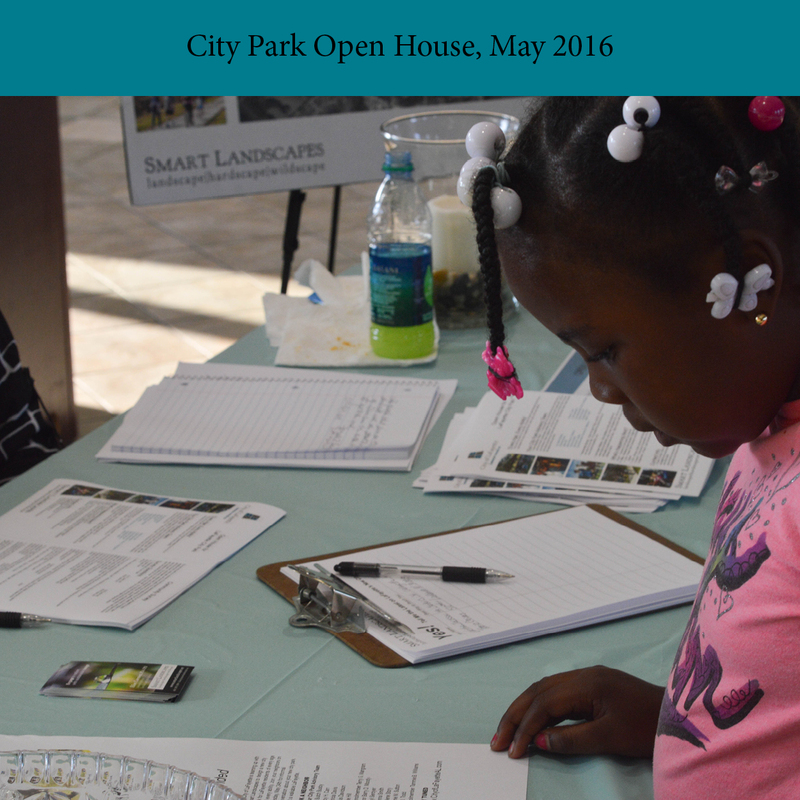 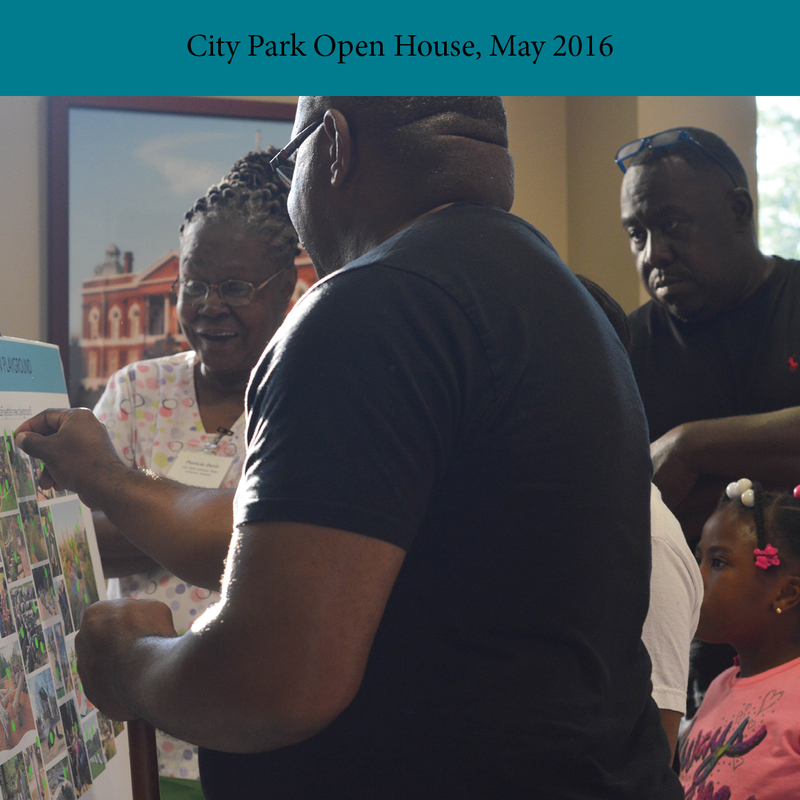 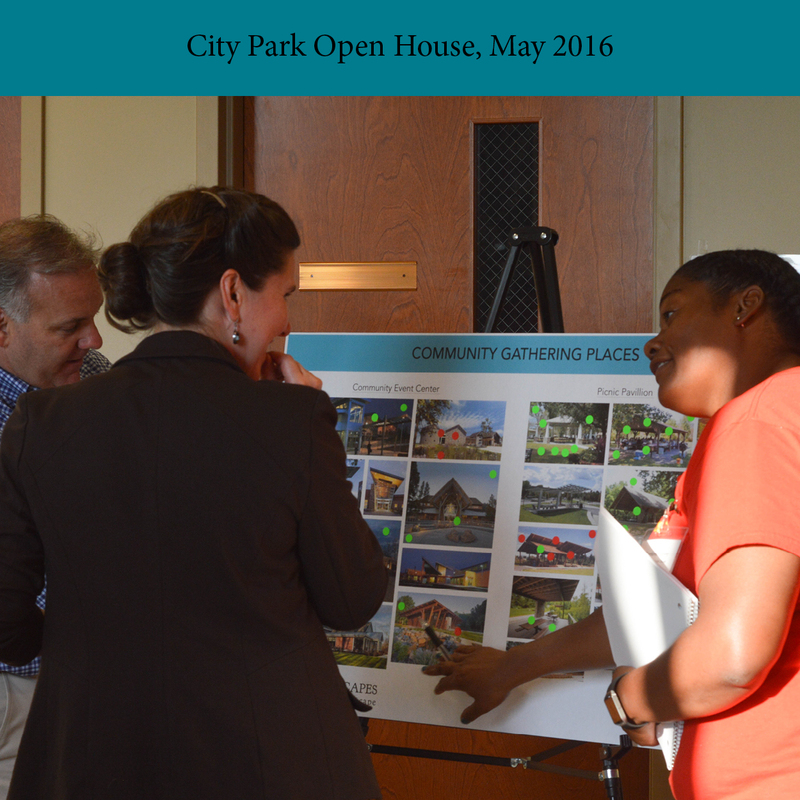 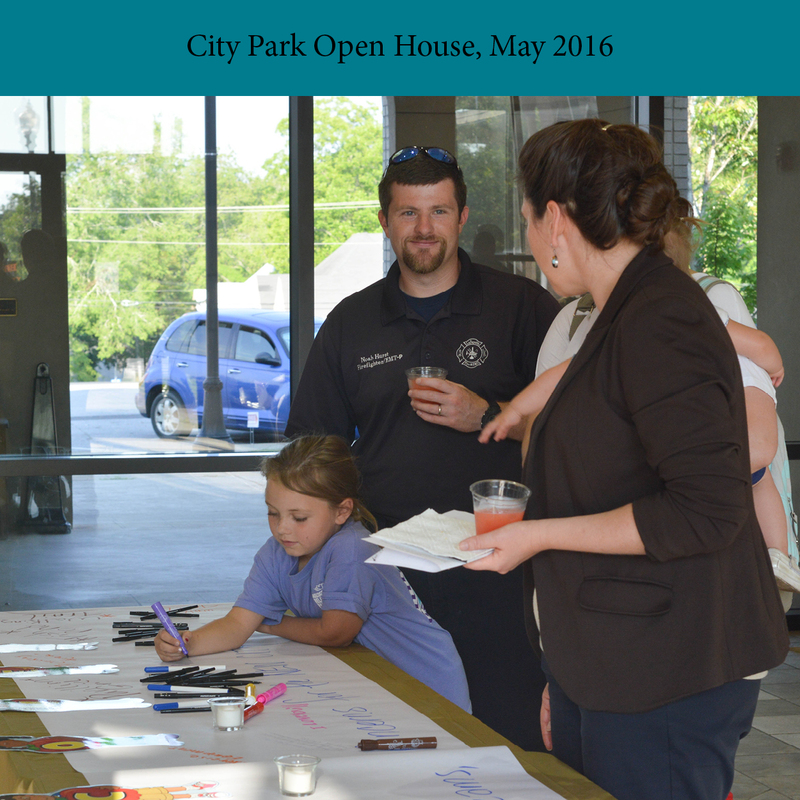 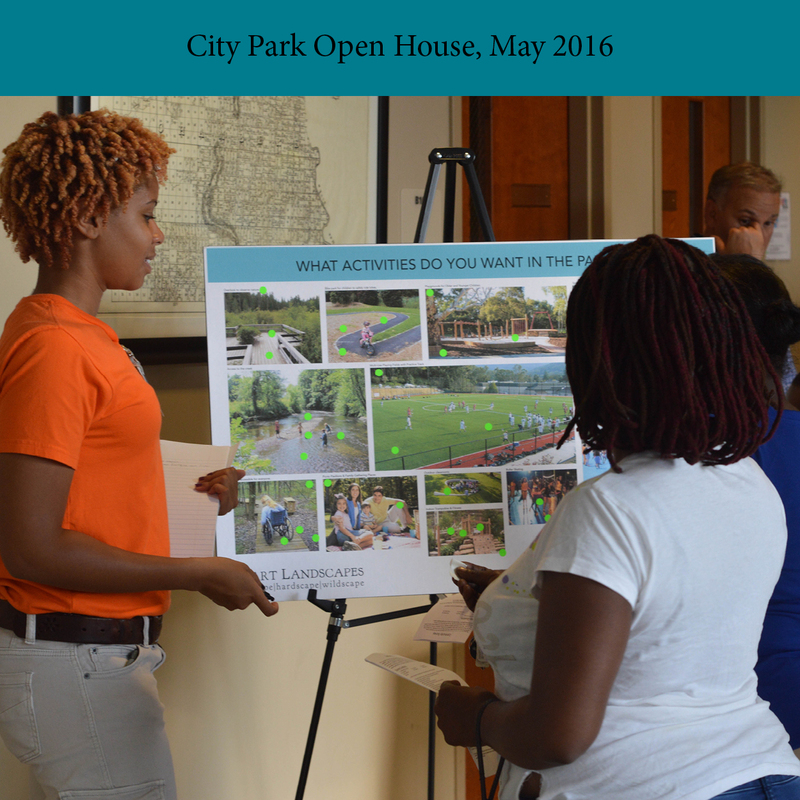 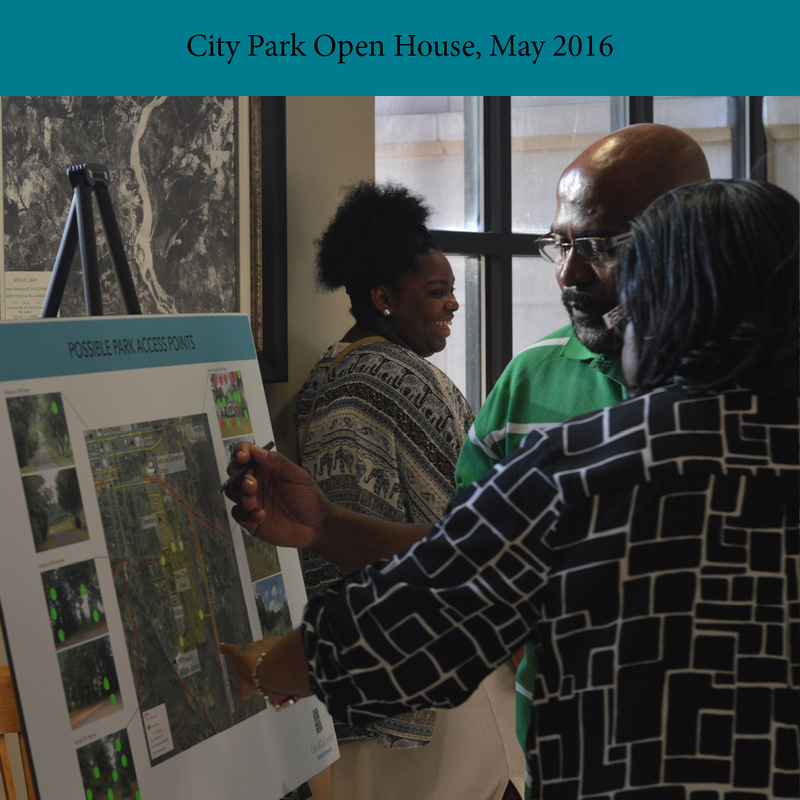 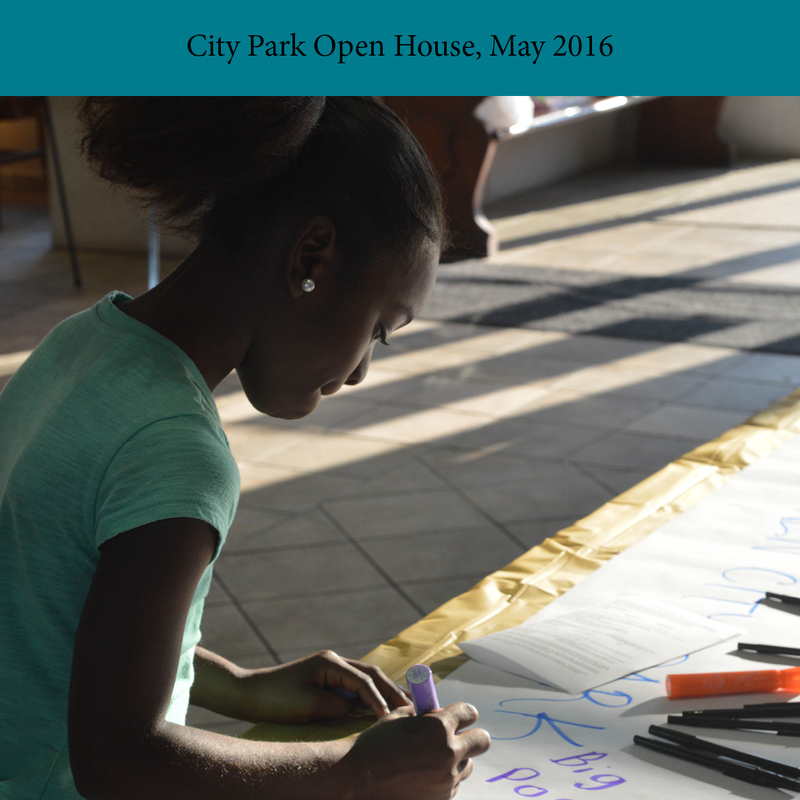 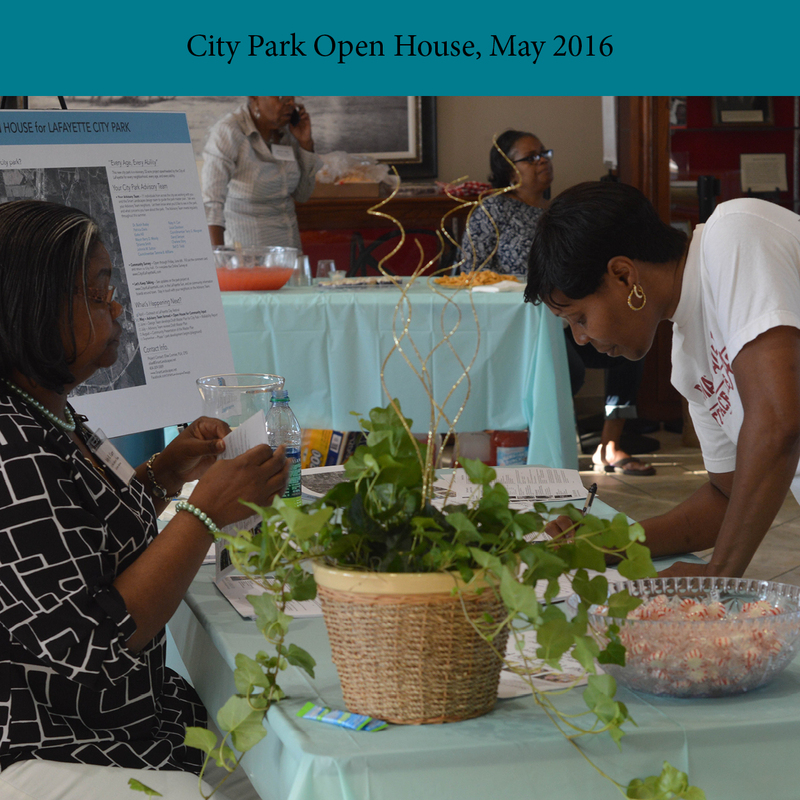 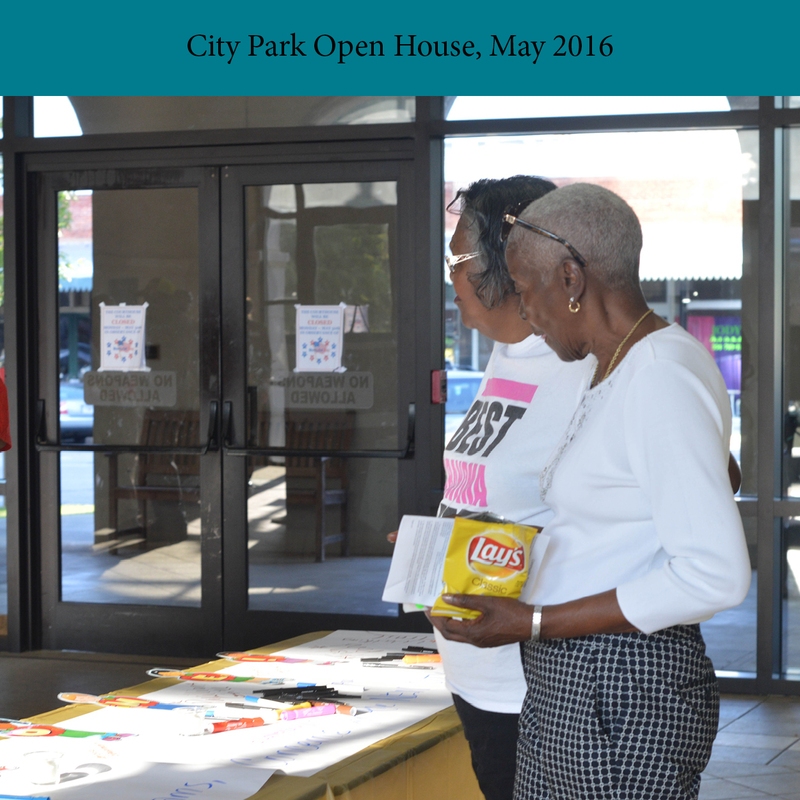 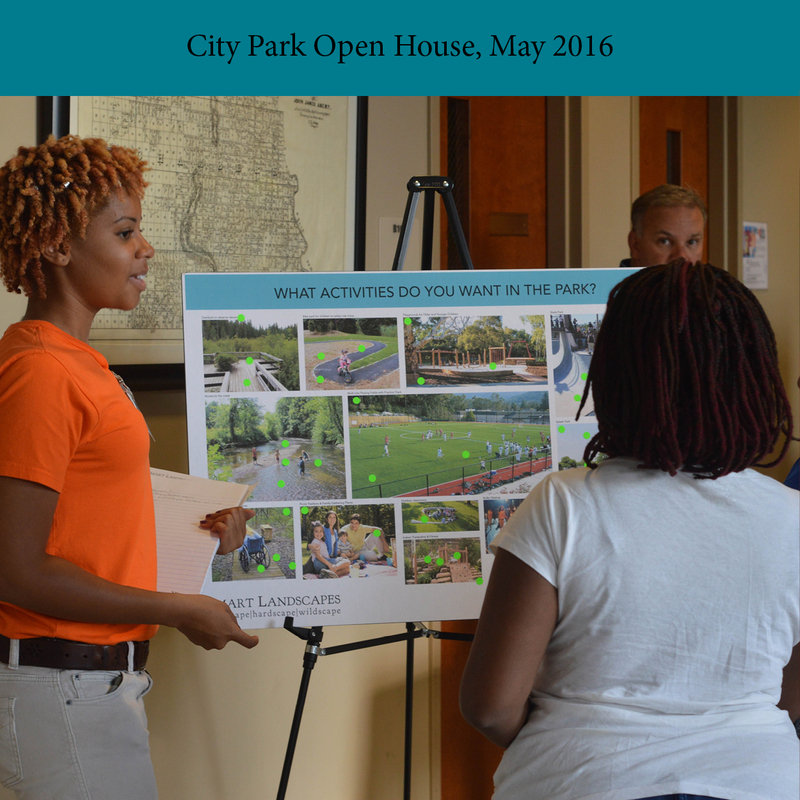 Visit City Hall to see the city park display boards.